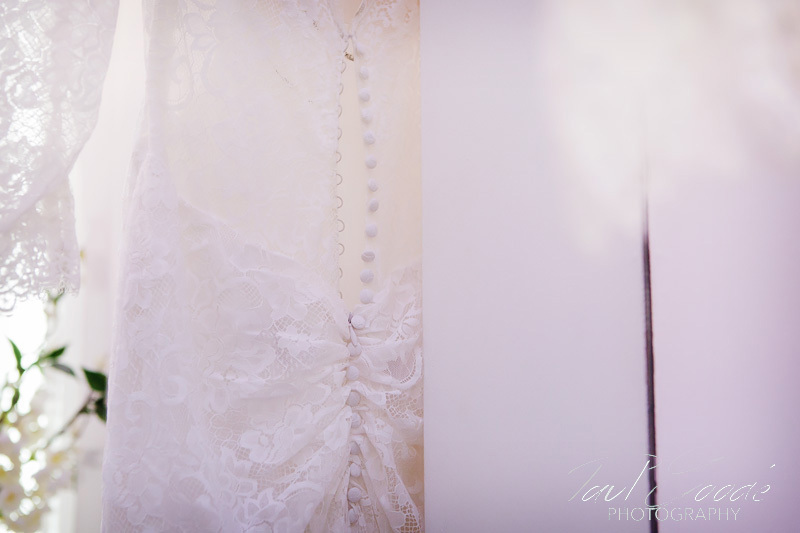 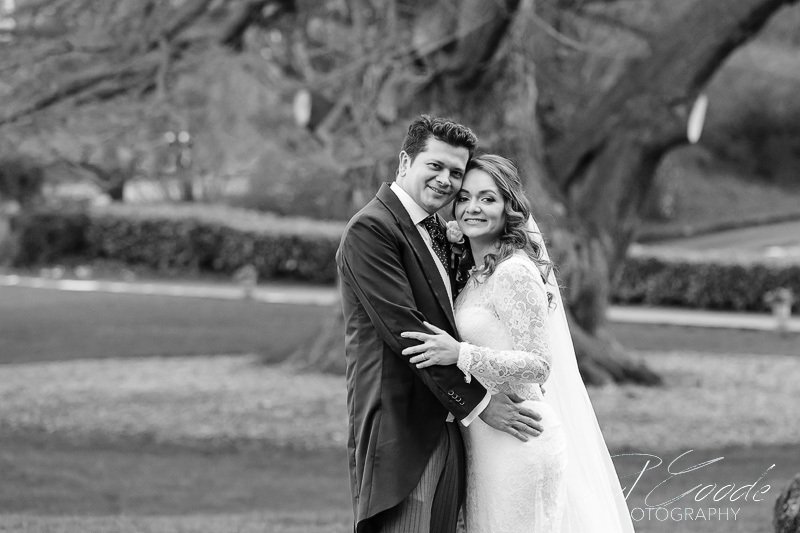 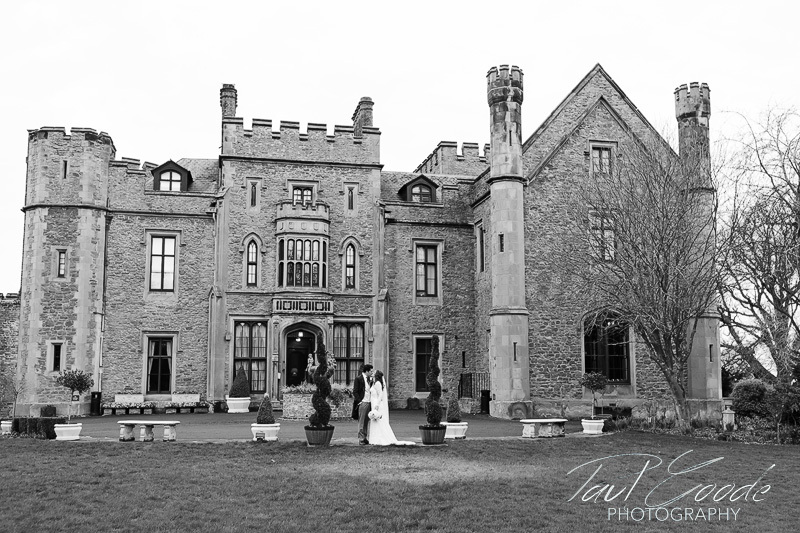 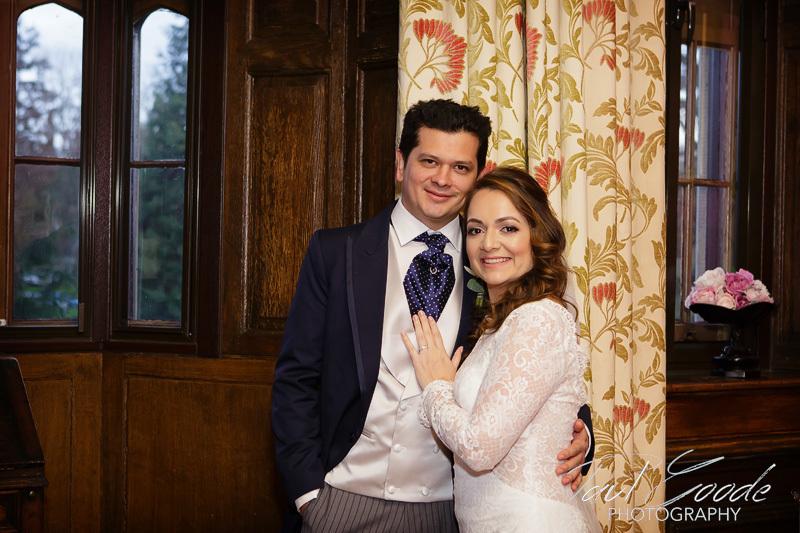 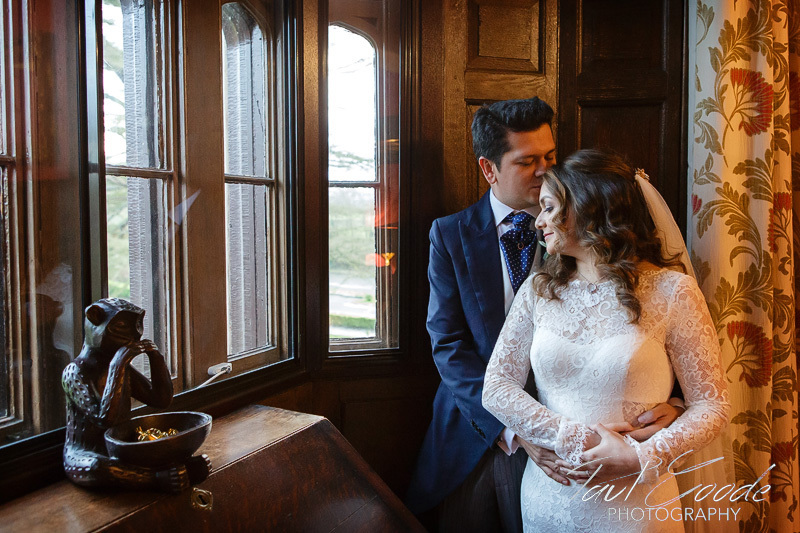 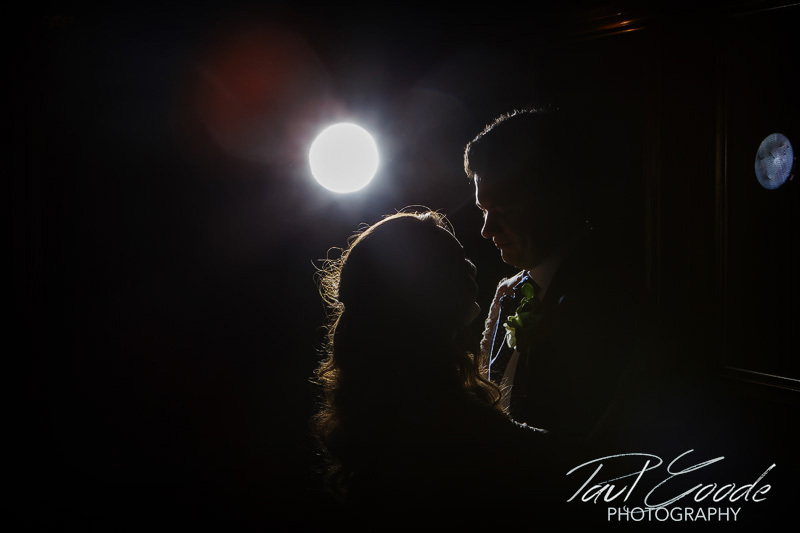 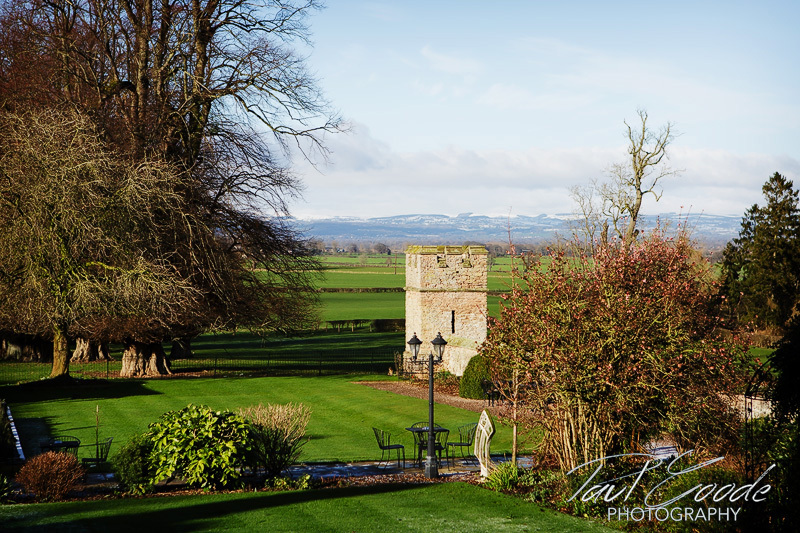 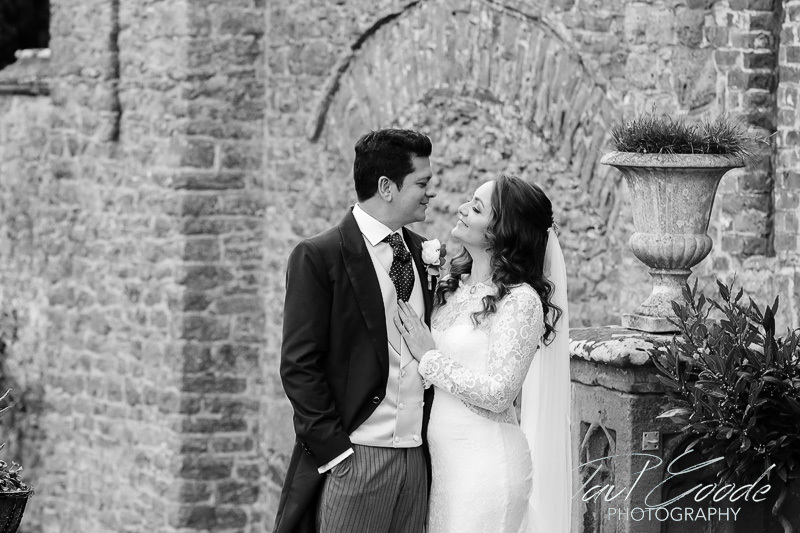 Karen and Jero had contacted me to be their Rowton Castle wedding photographer after they had seen photos of Eleanor’s and Pete’s snowy wedding that I had taken at the Castle last winter. 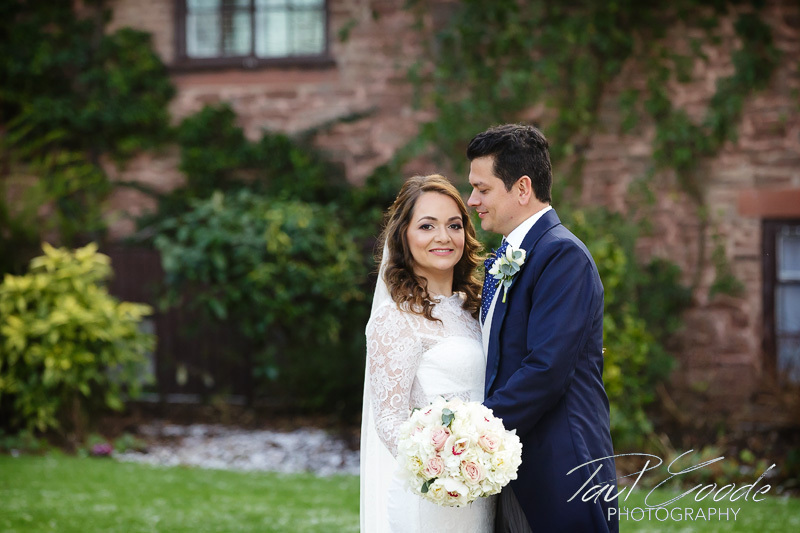 They were really hoping for a lovely winter’s day themselves and were absolutely delighted to see that a slight dusting of snow had made an appearance 🙂 The snow really did add to their day as Karen and Jero live in a somewhat warmer climate in Costa Rico! 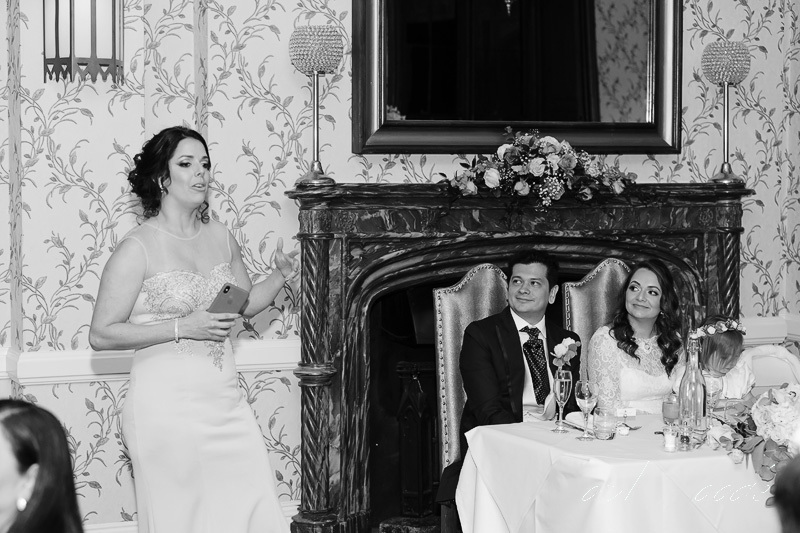 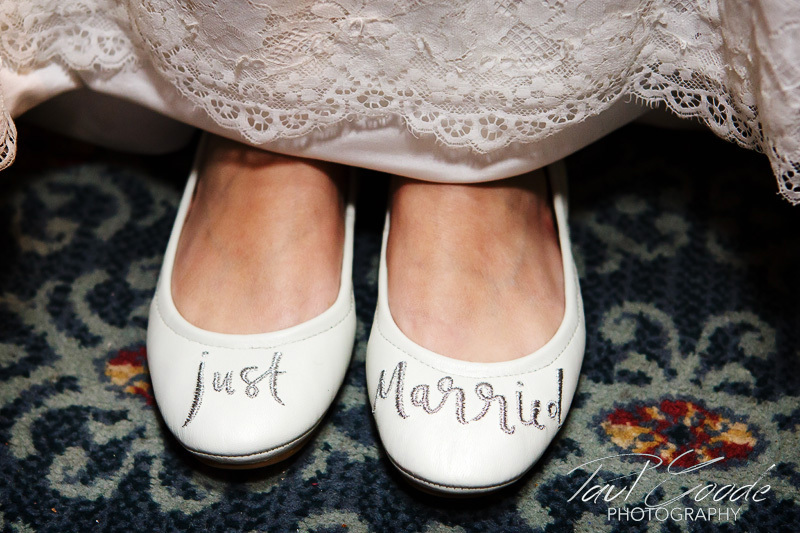 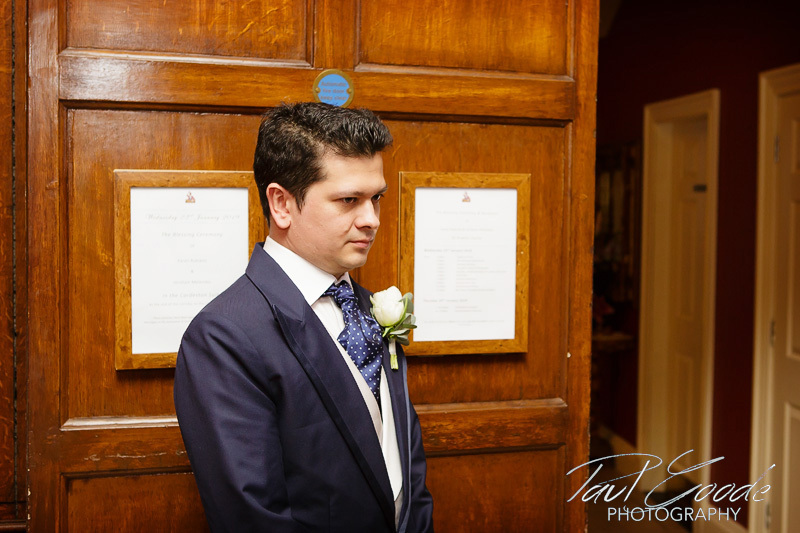 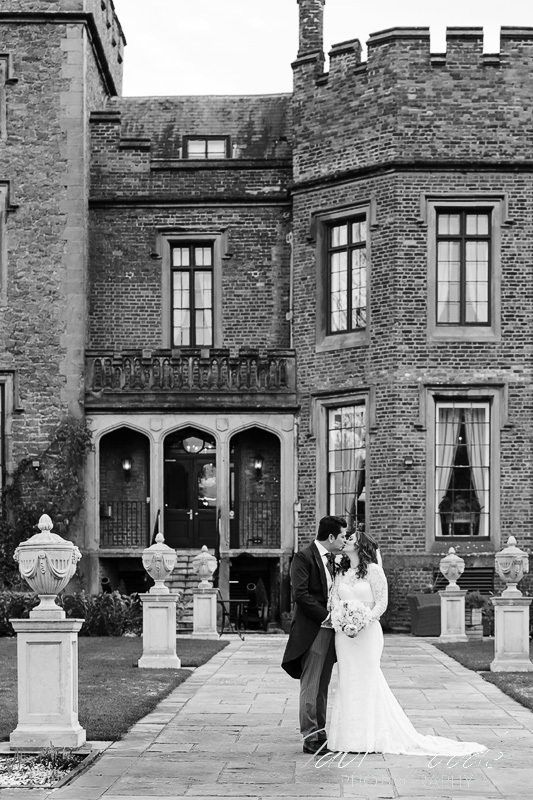 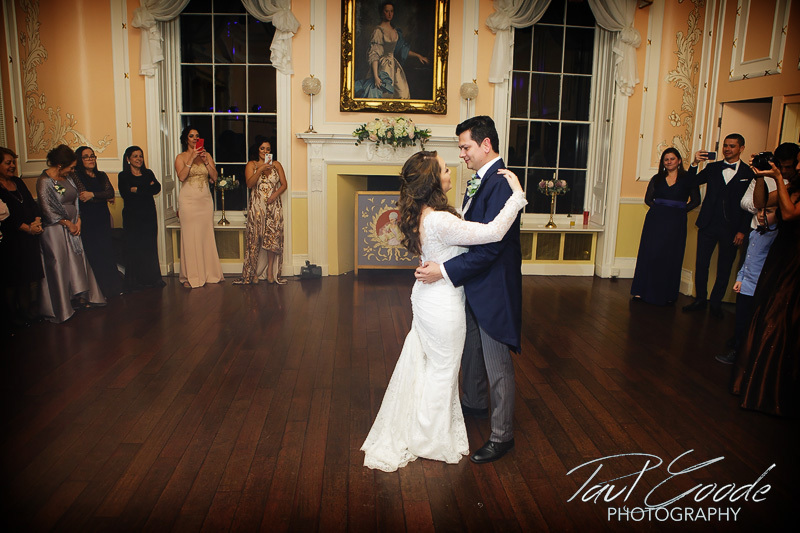 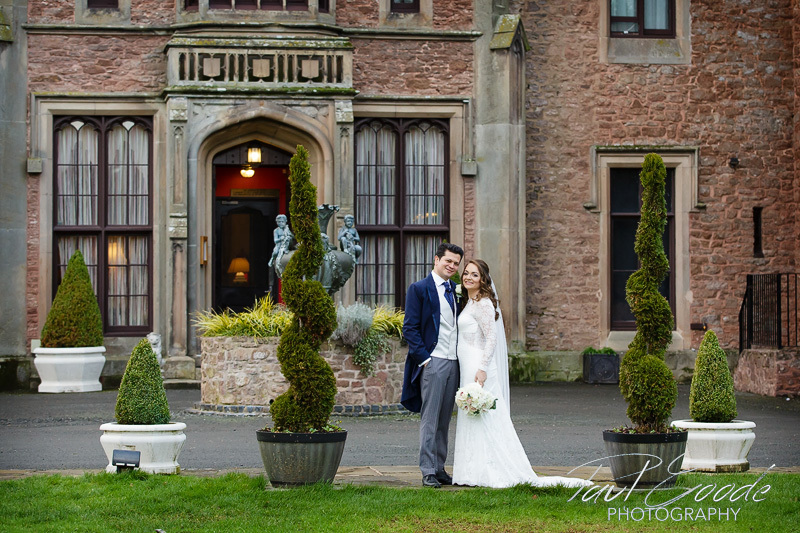 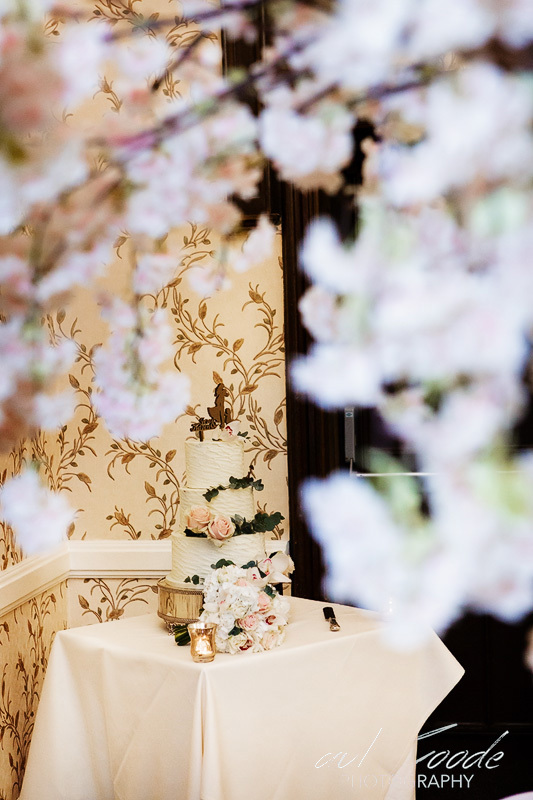 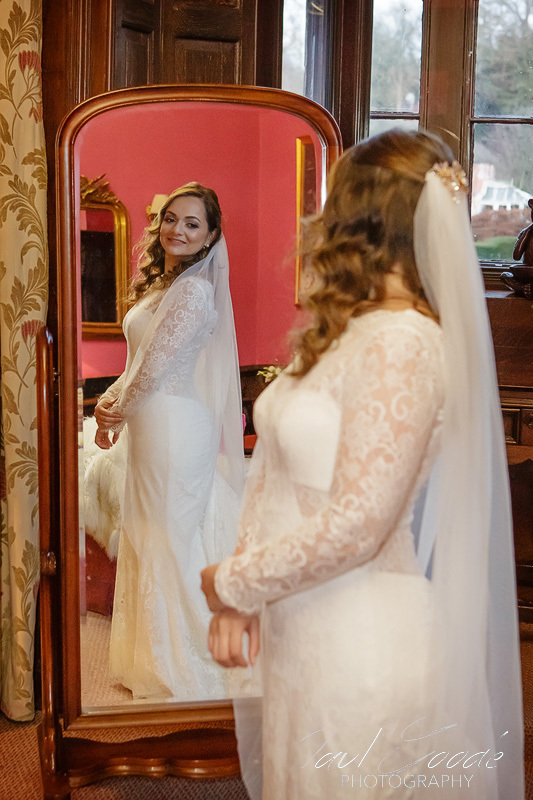 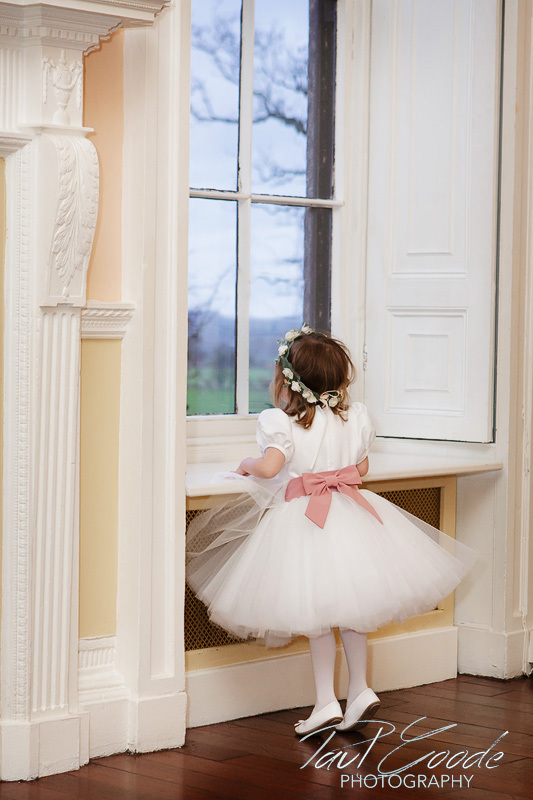 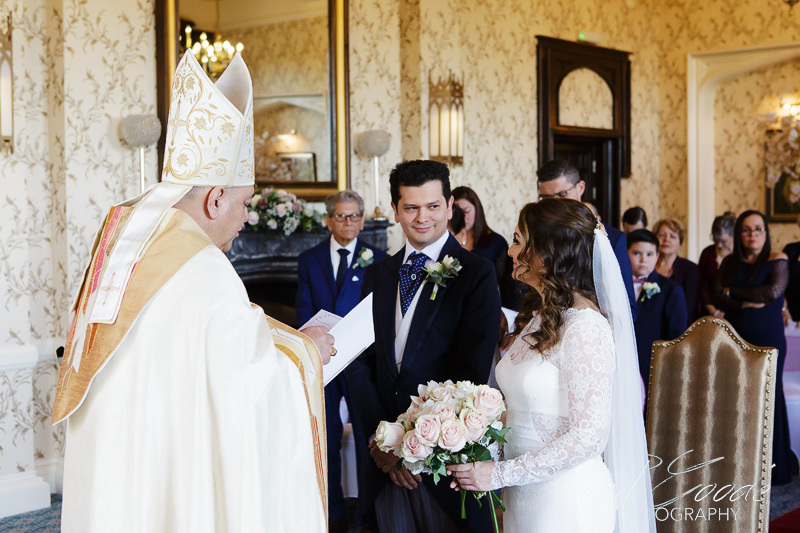 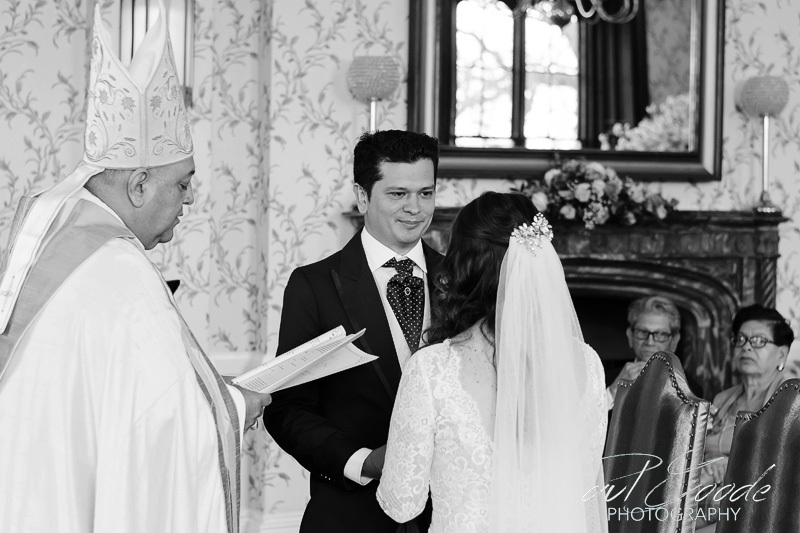 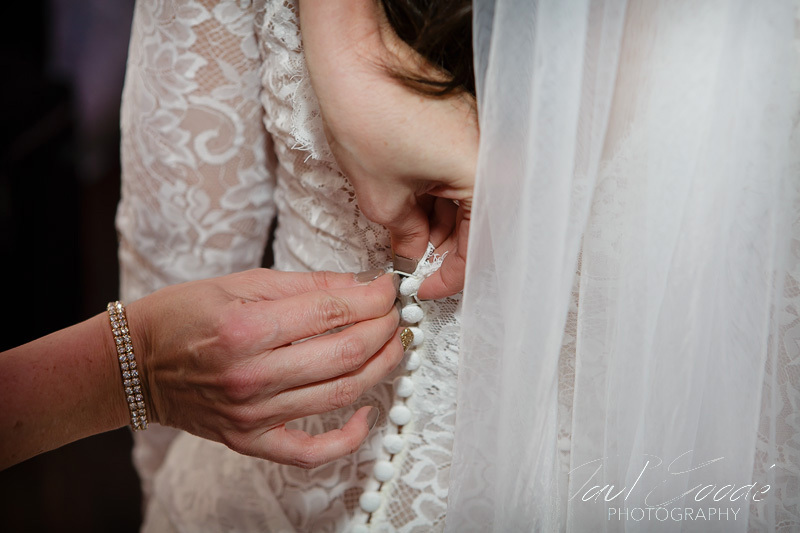 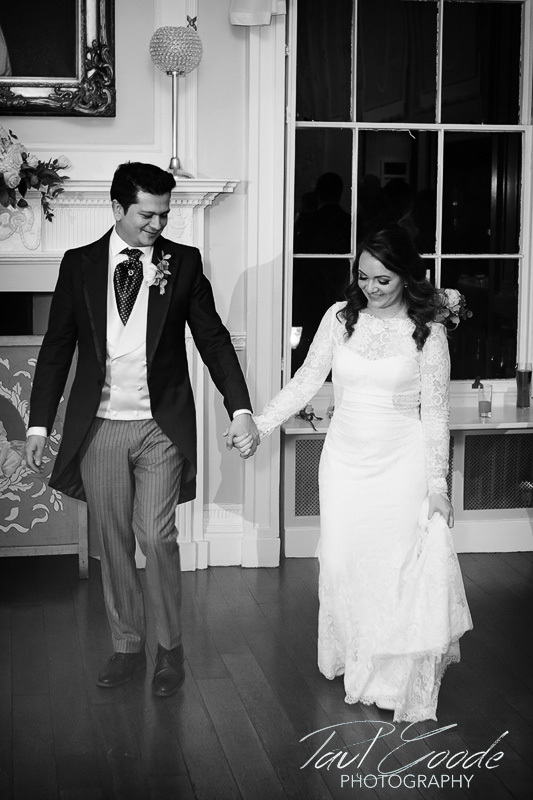 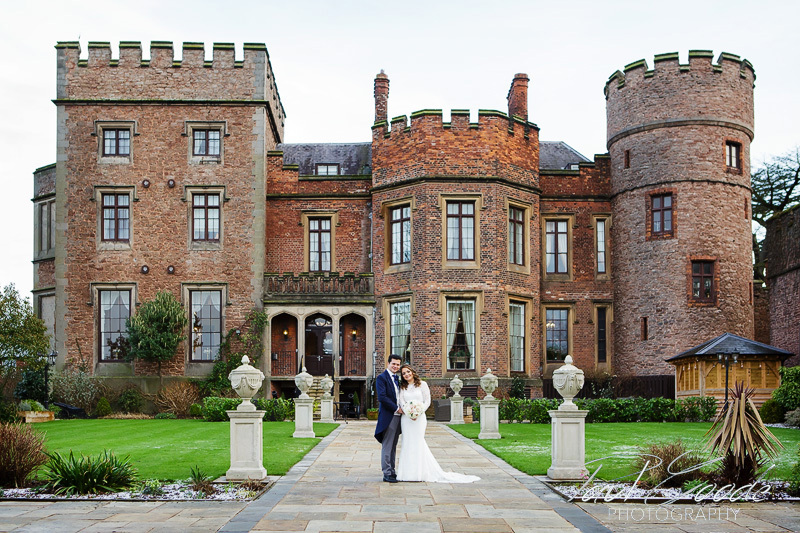 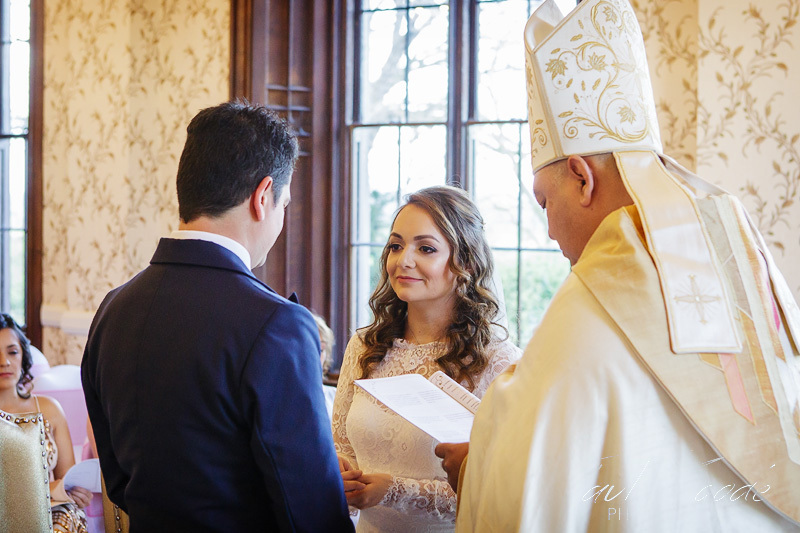 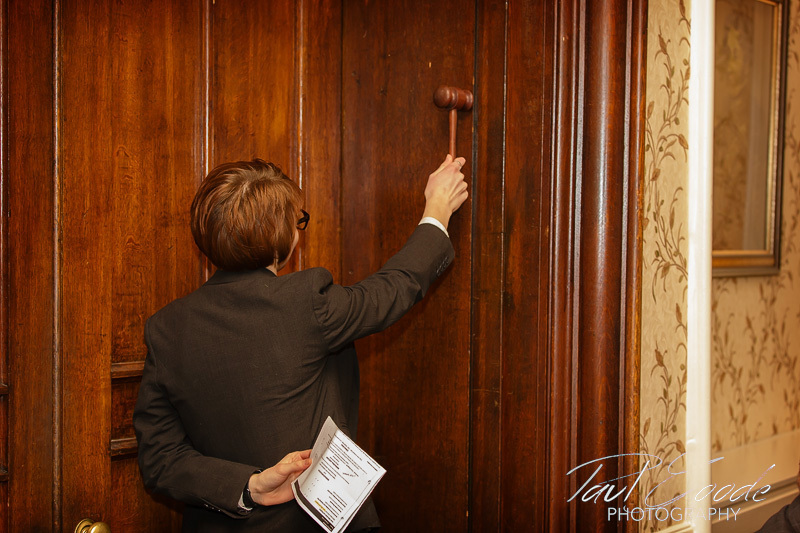 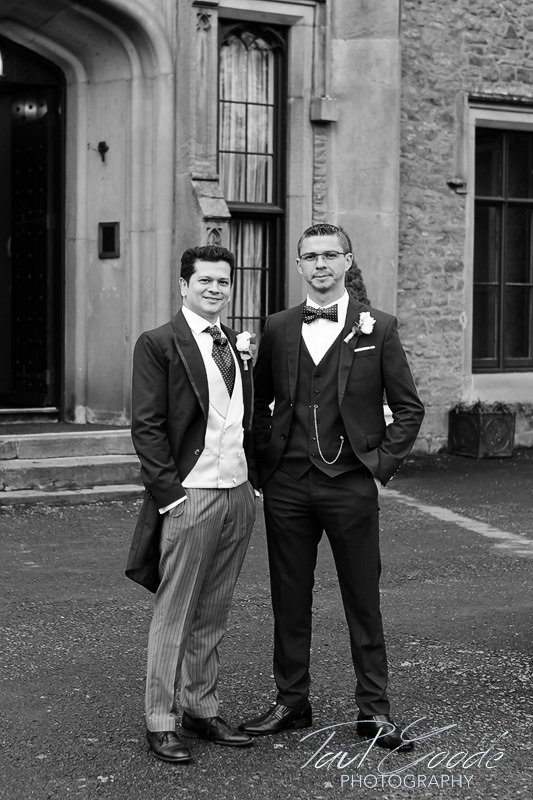 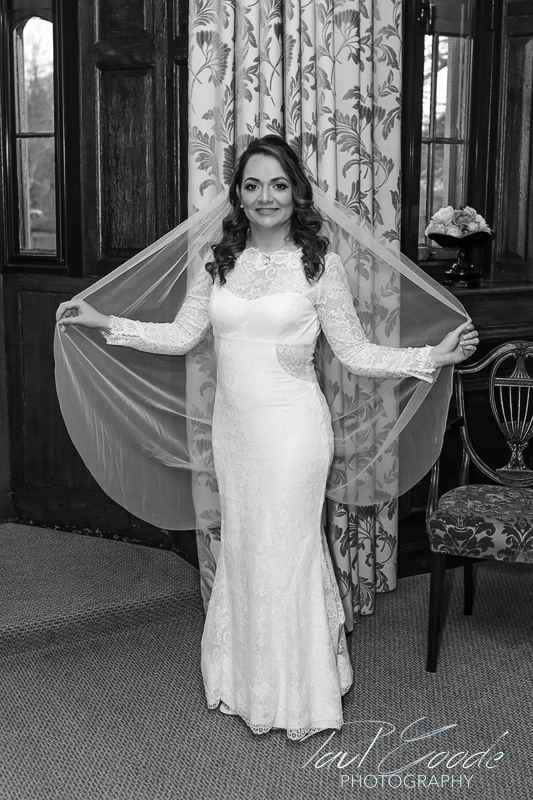 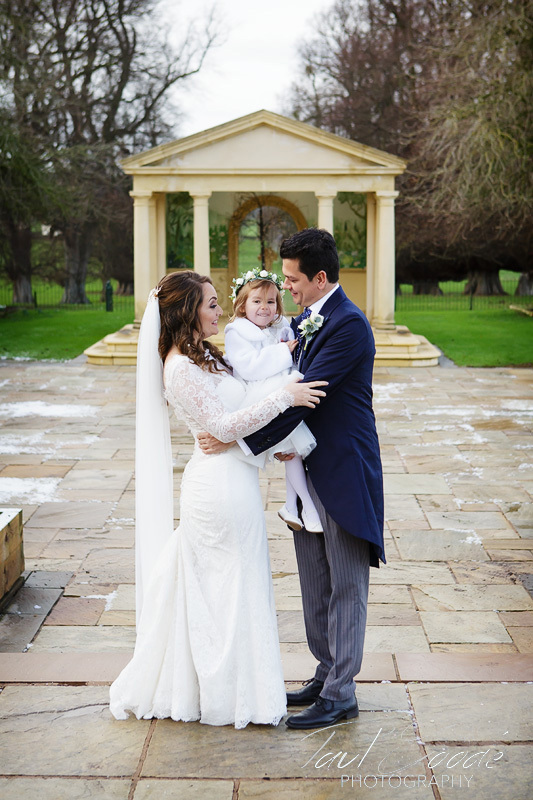 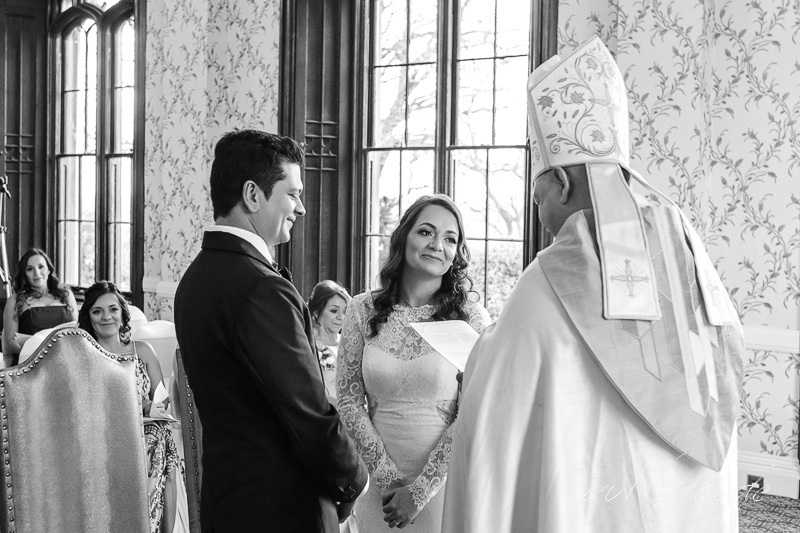 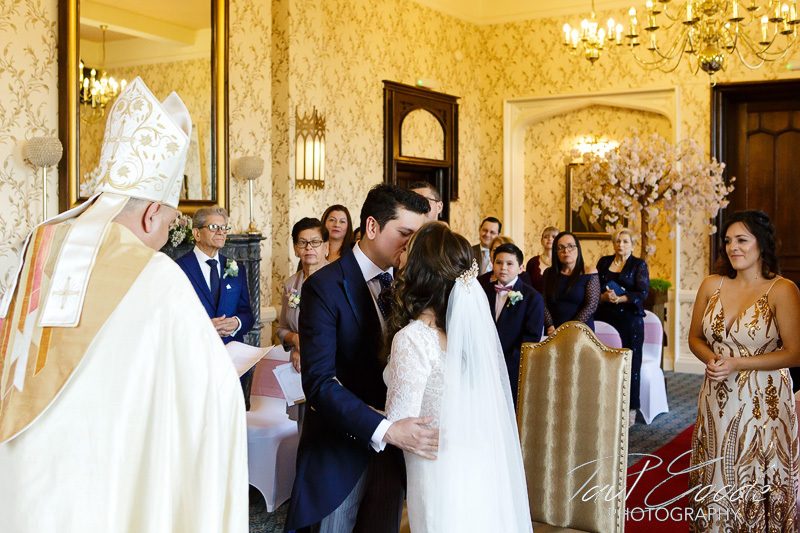 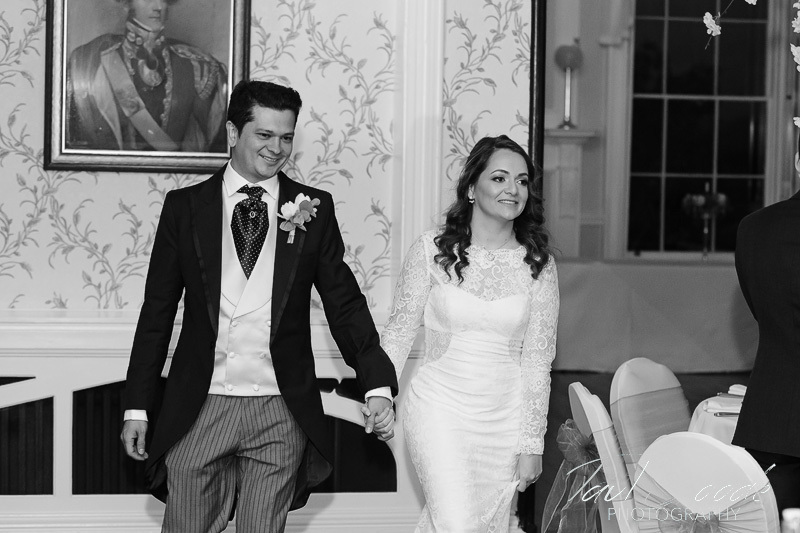 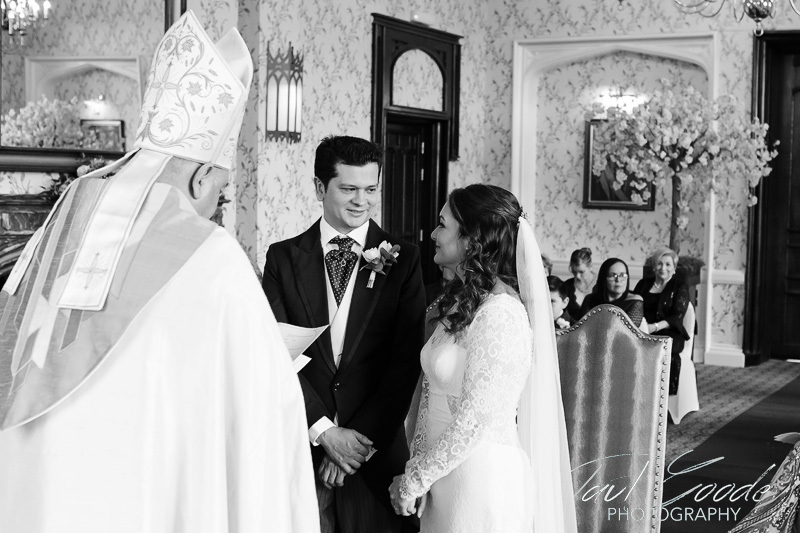 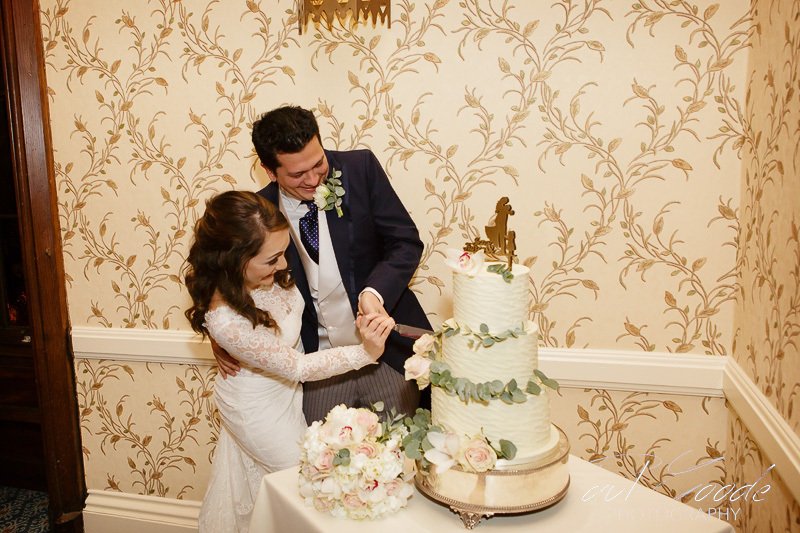 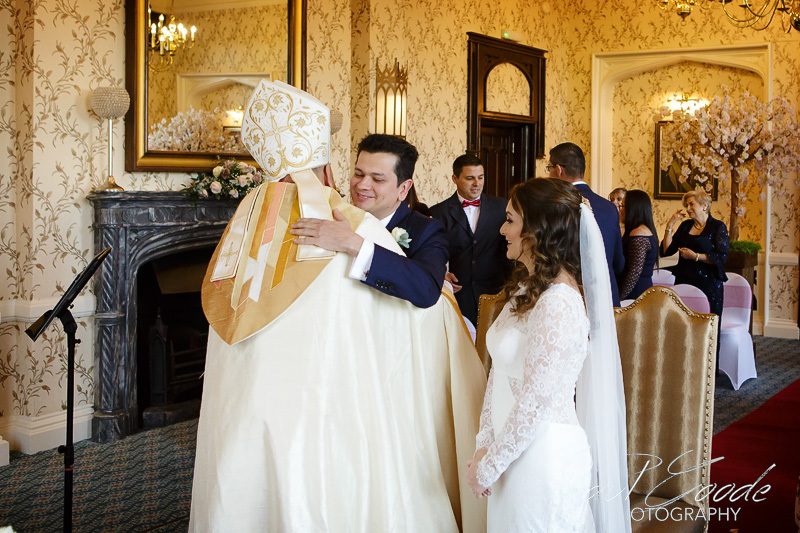 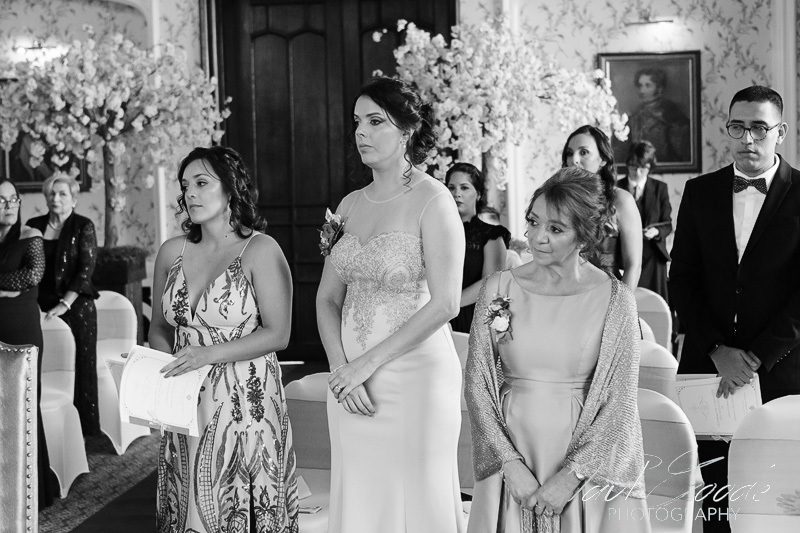 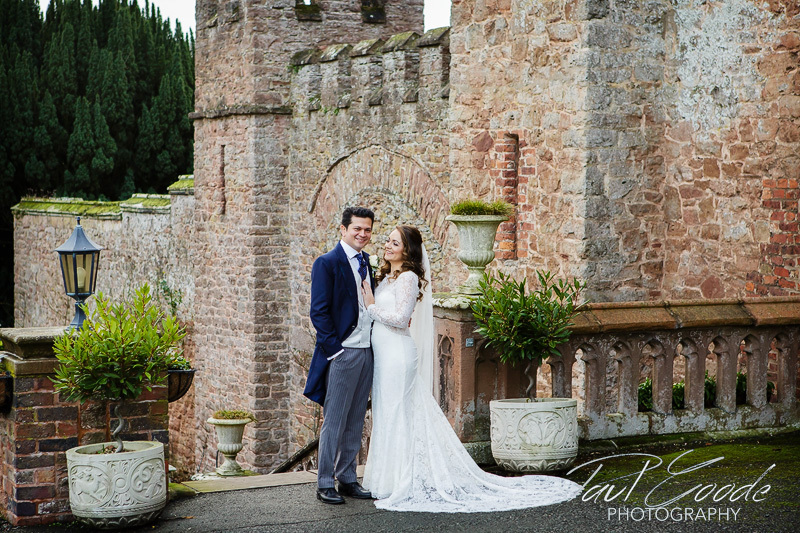 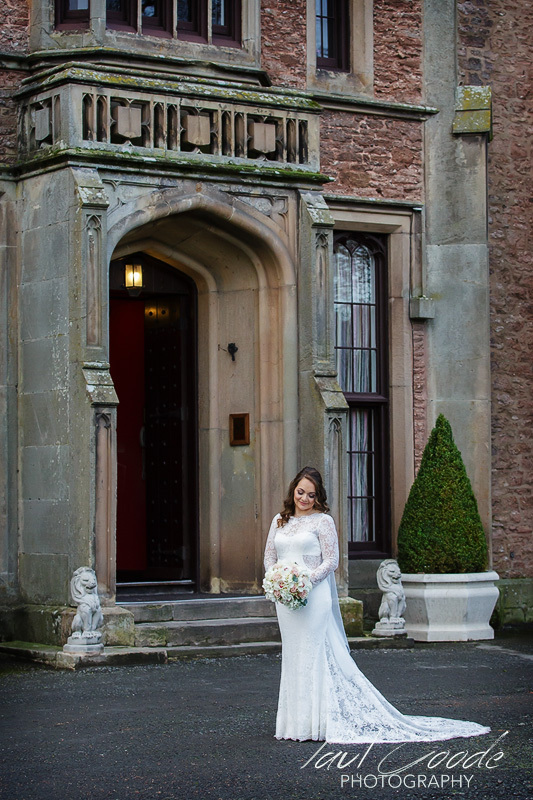 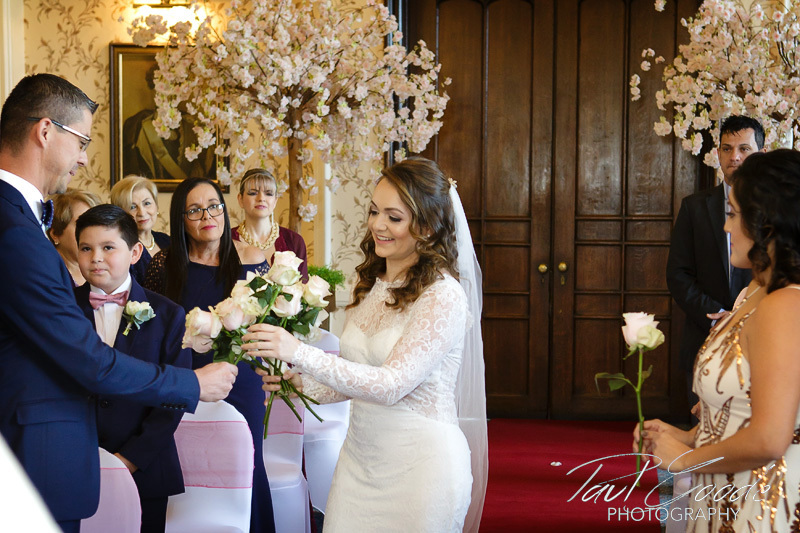 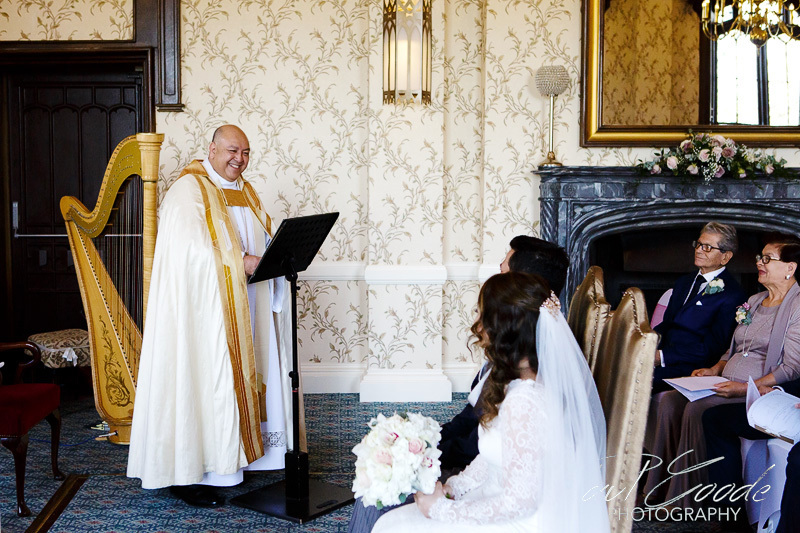 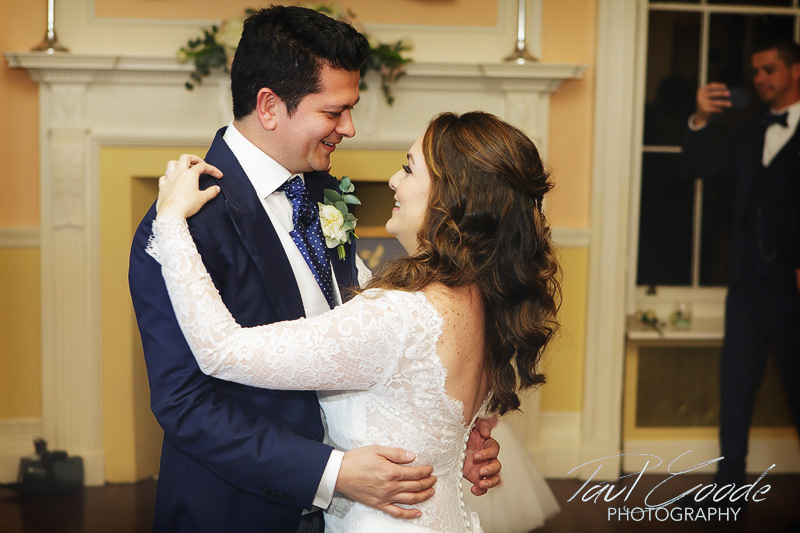 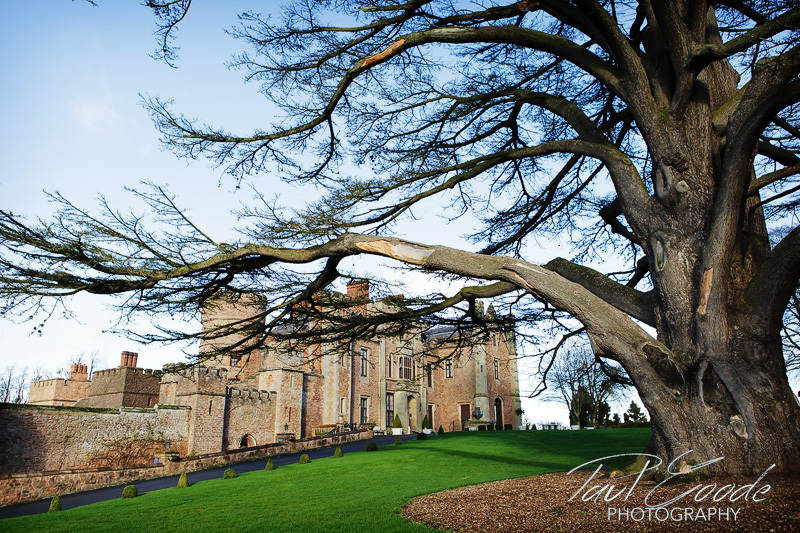 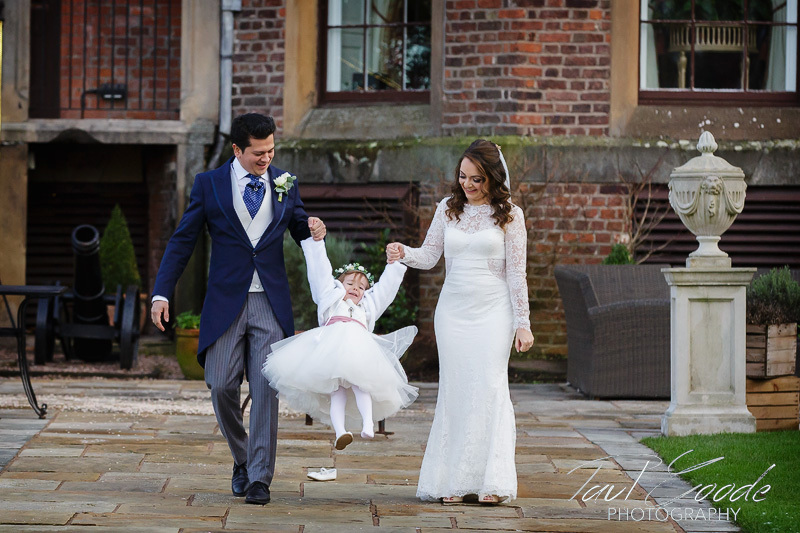 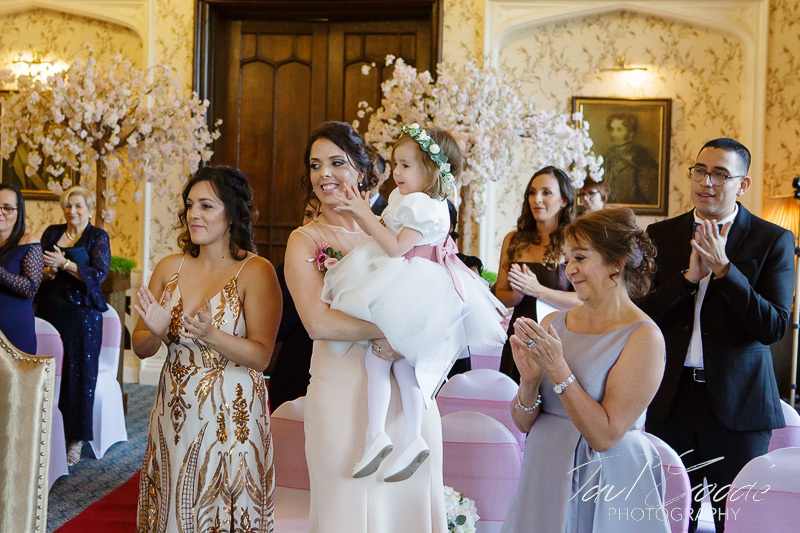 When Karen and Jero were visiting family they fell in love with Shropshire and in particular Rowton Castle, instantly knowing this was where they wished to have their marriage blessing ceremony and celebrations. 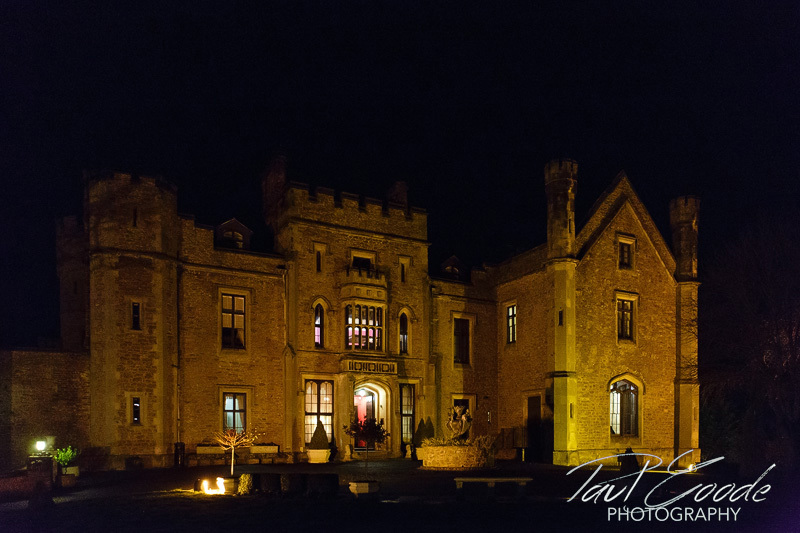 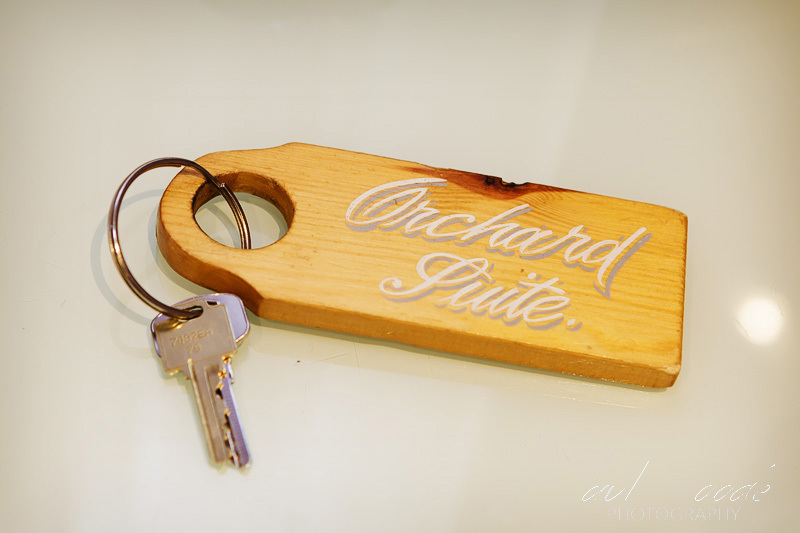 As I arrived at the stunning 17th century Grade 11 listed castle I made my way over to the Orchard Suite to meet up with Karen who was making her final preparations. 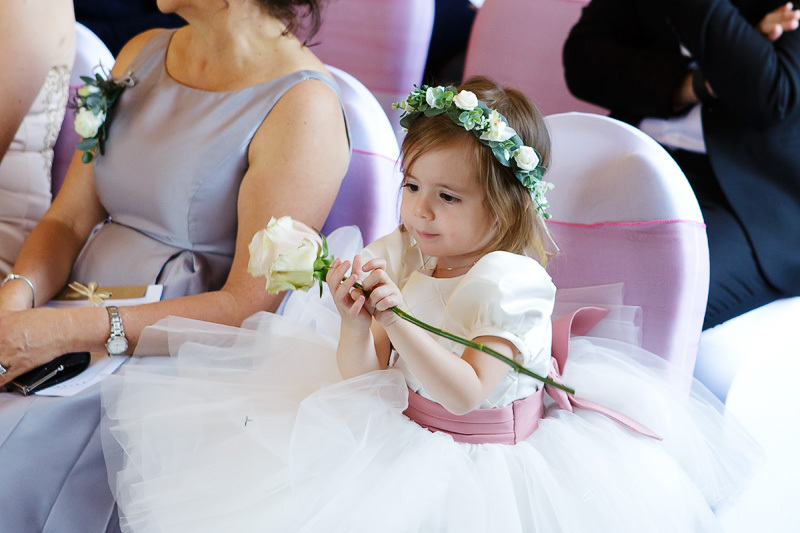 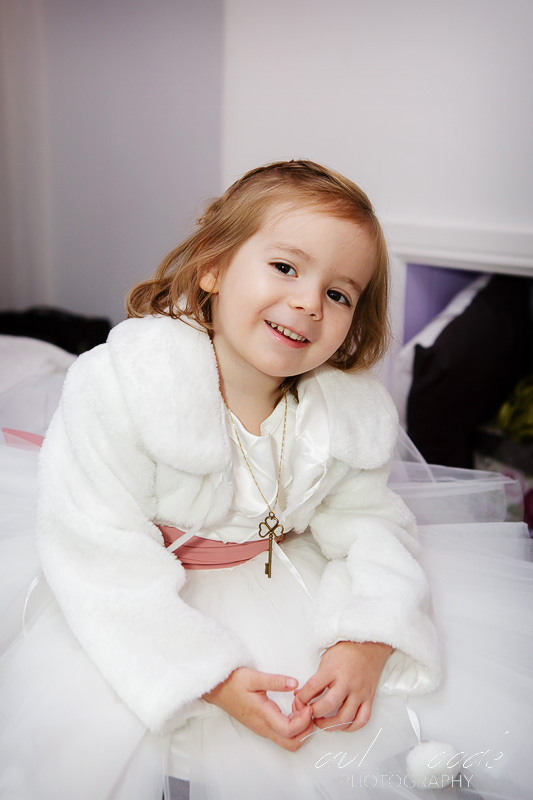 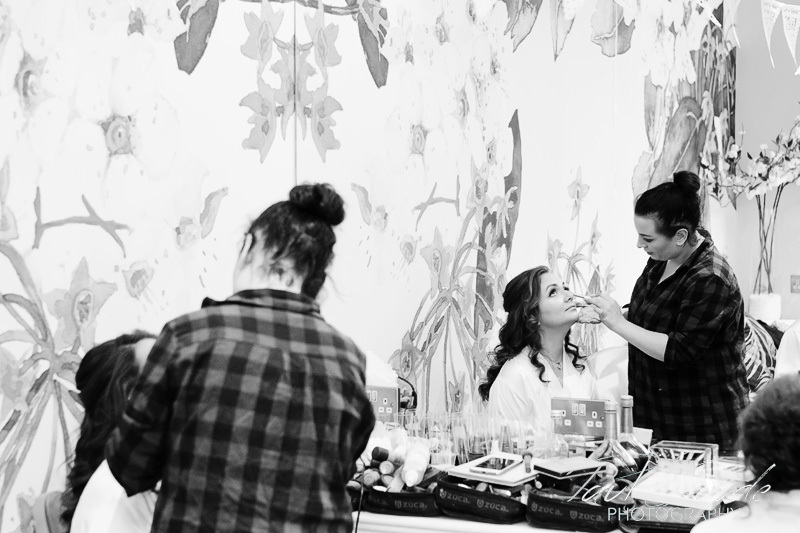 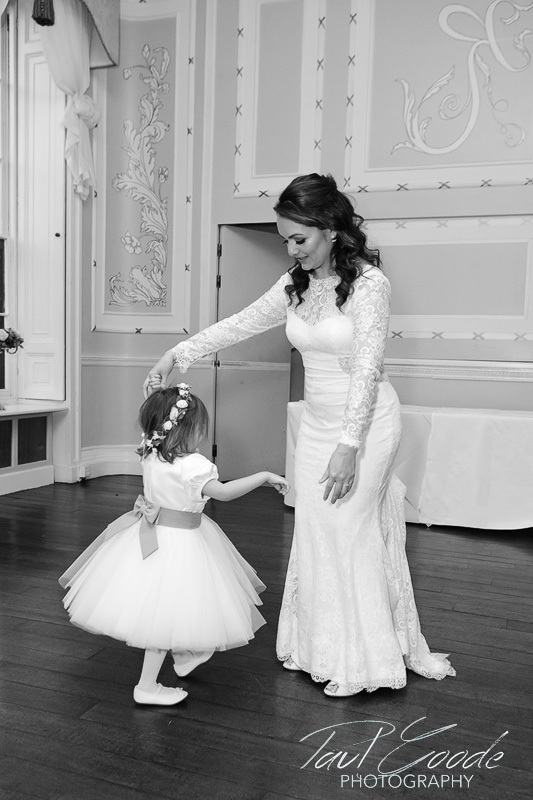 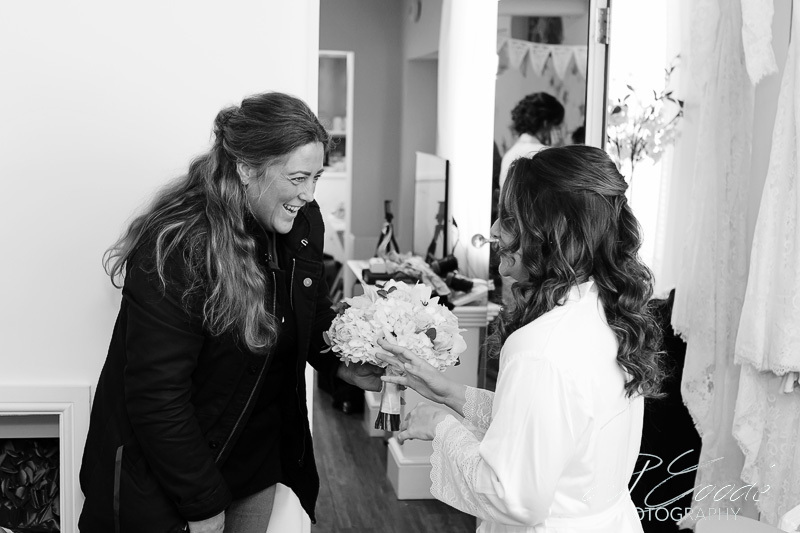 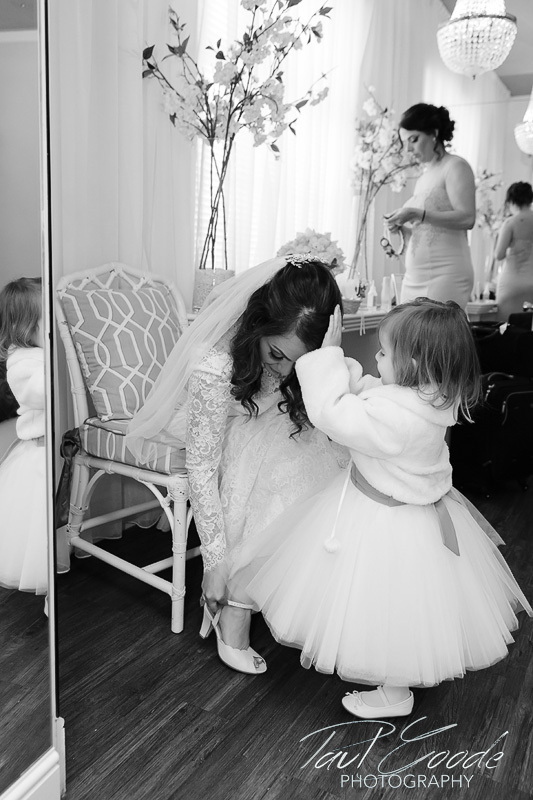 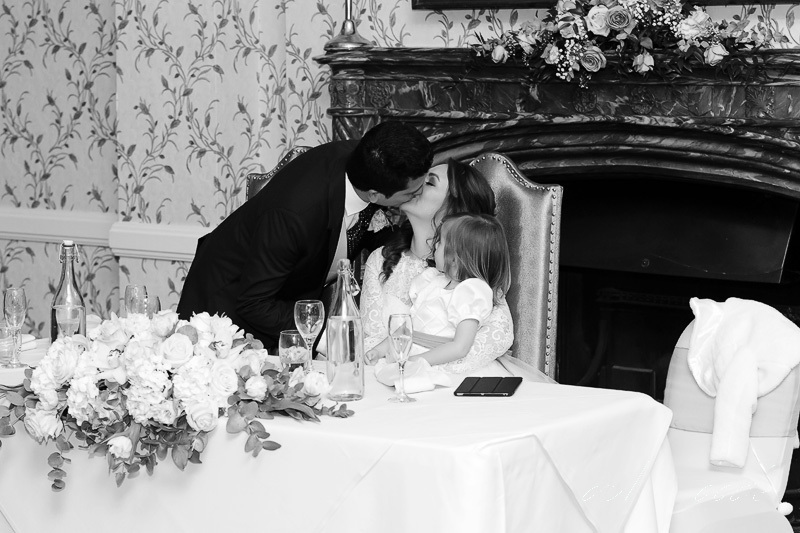 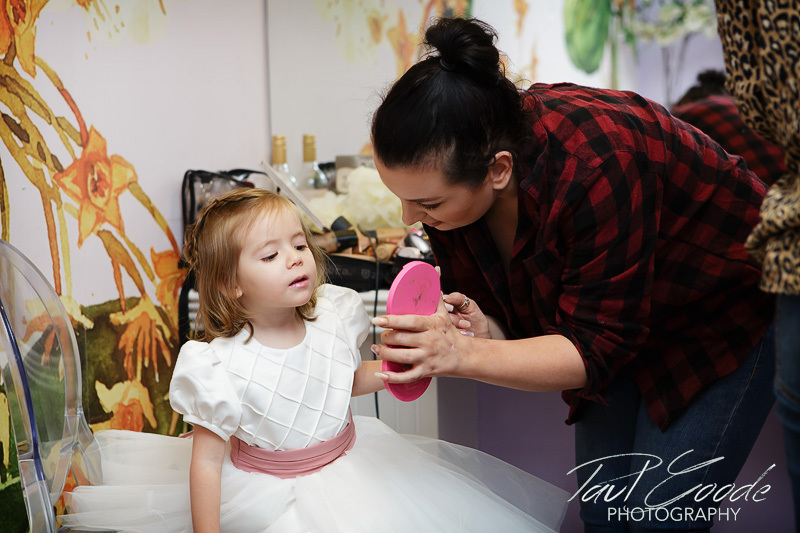 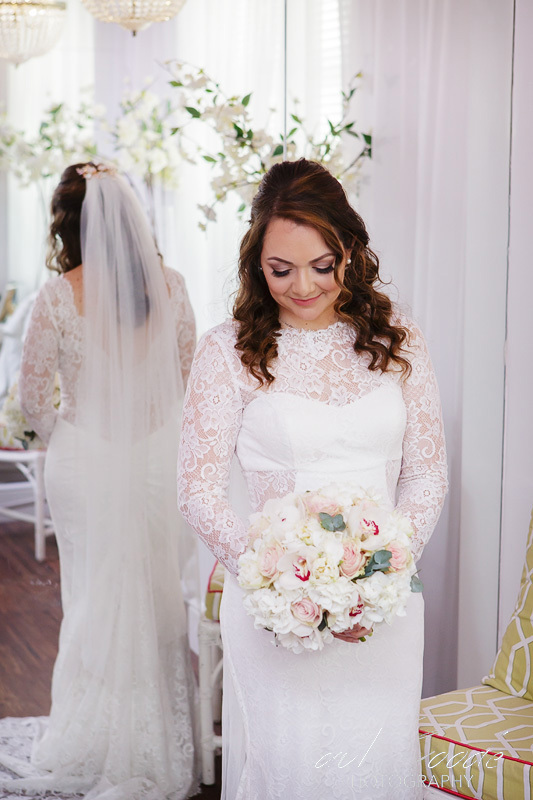 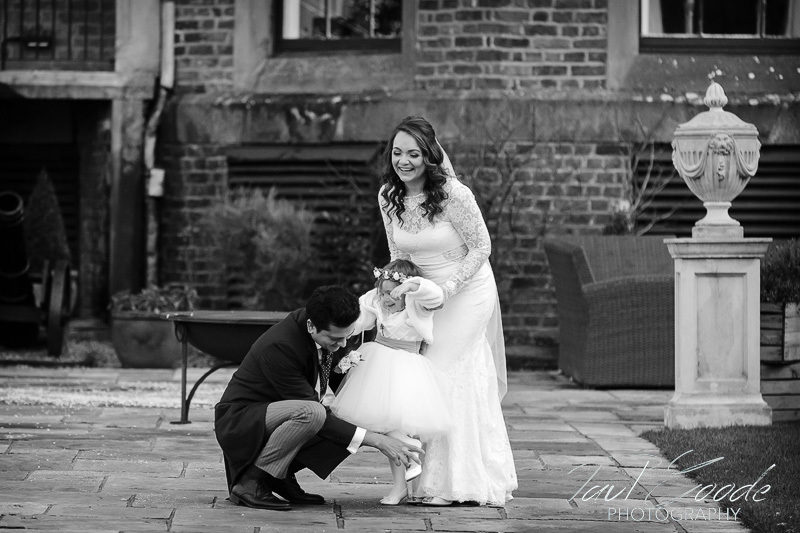 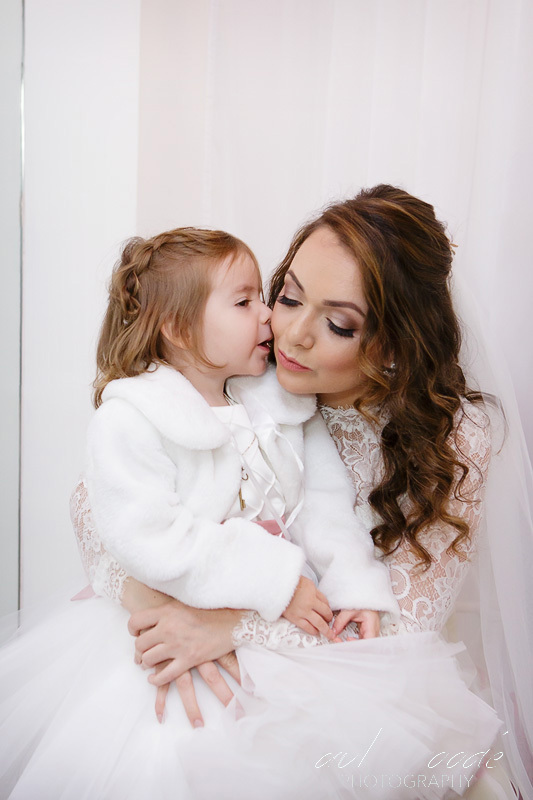 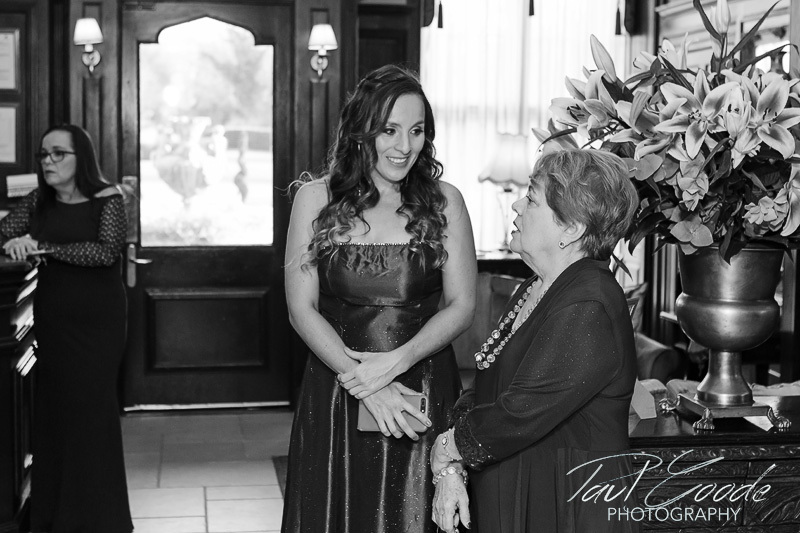 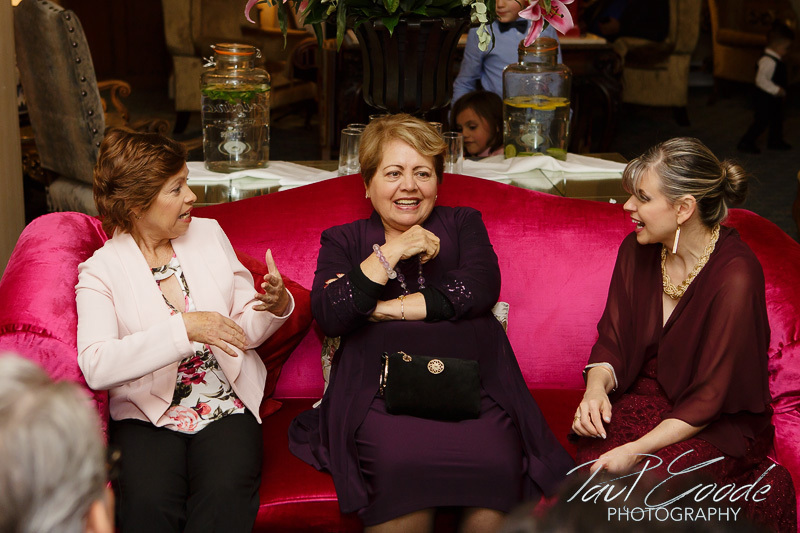 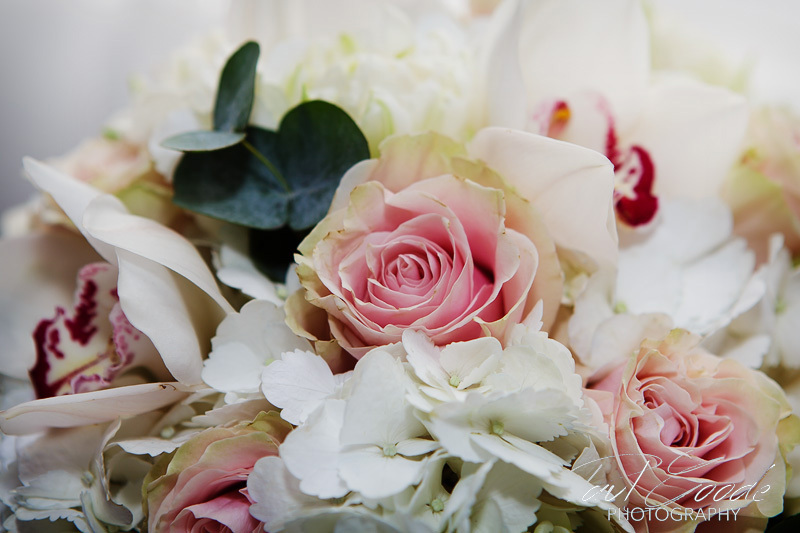 Assisting Karen was Adriana, her Maid of Honour and her gorgeous little daughter Berenice who was her flower girl. 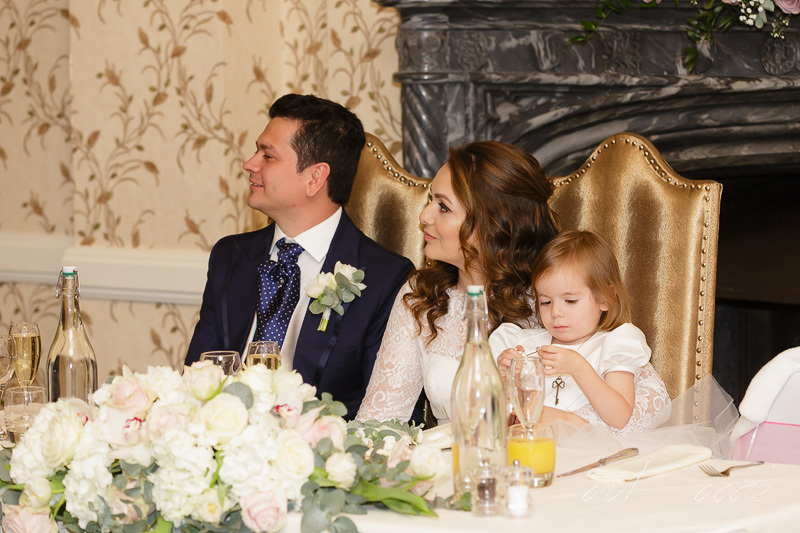 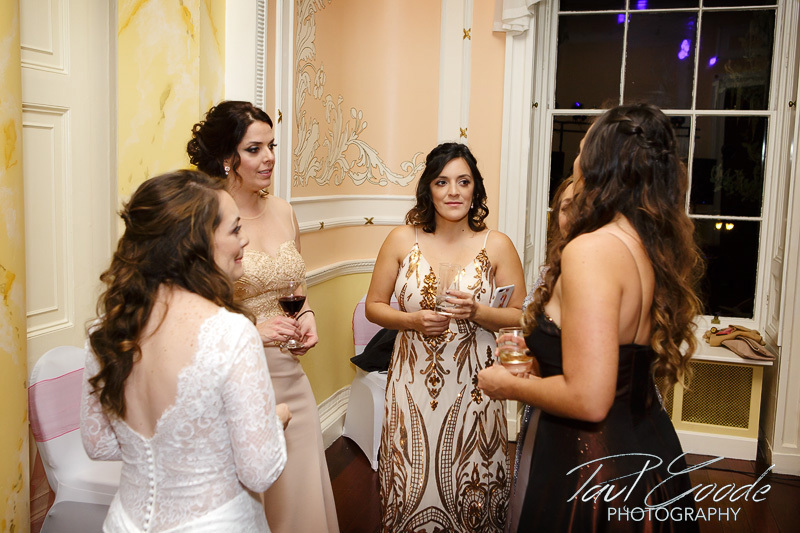 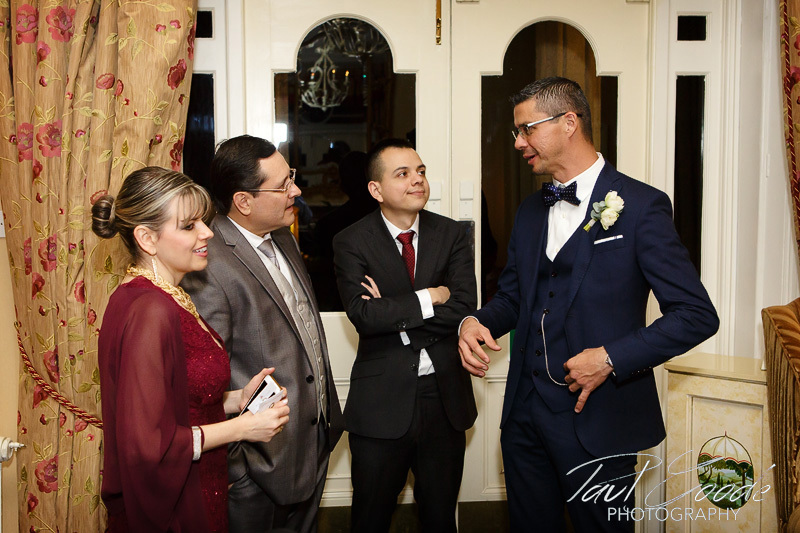 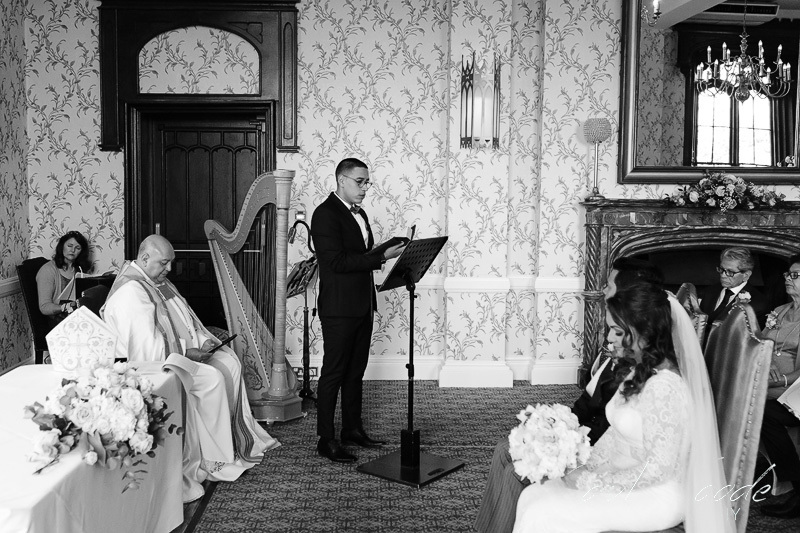 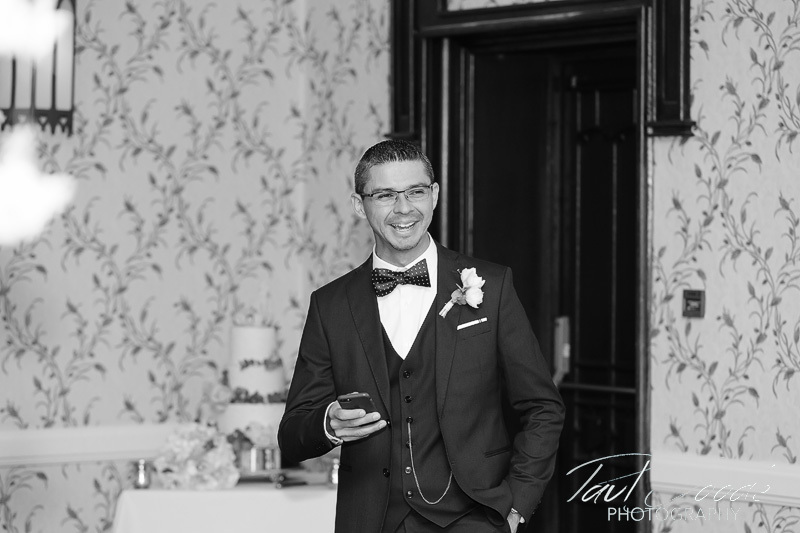 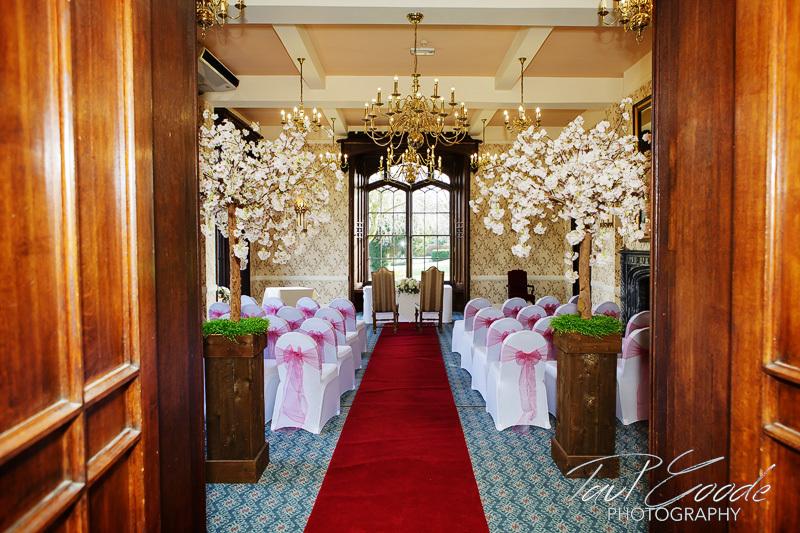 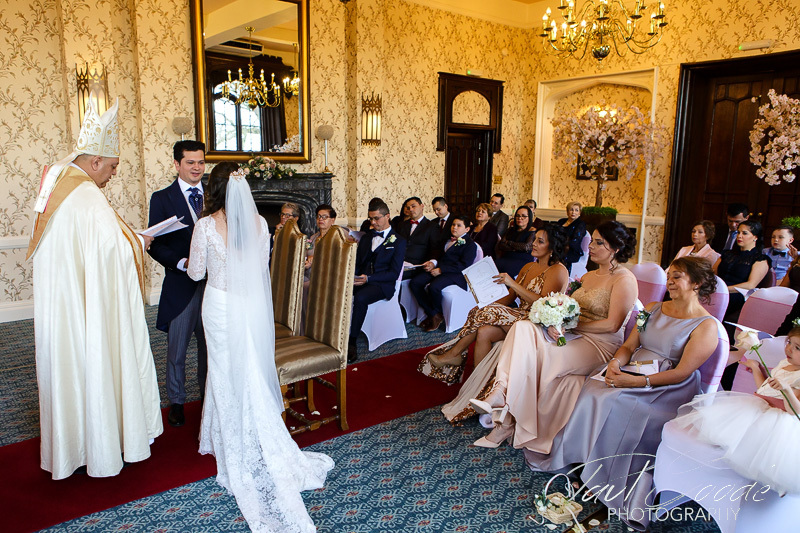 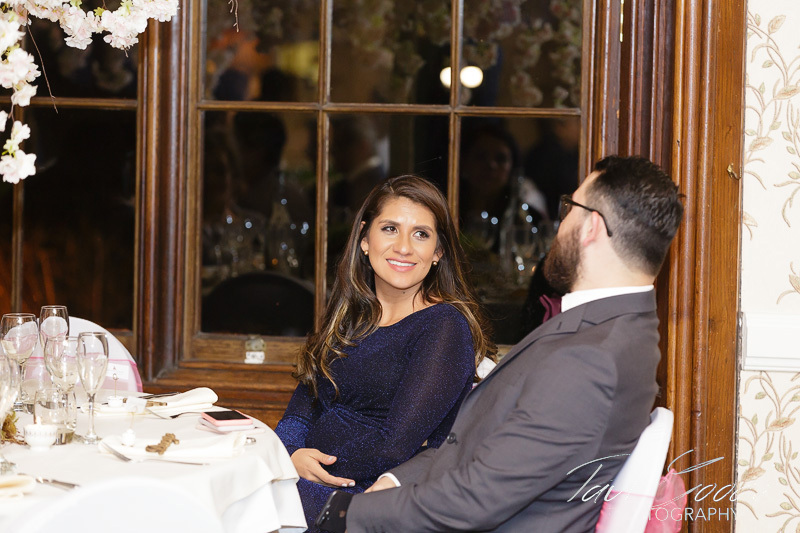 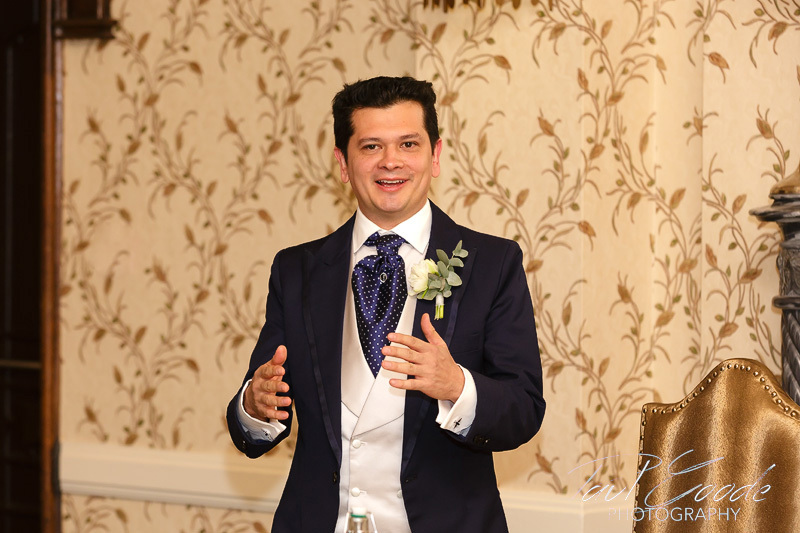 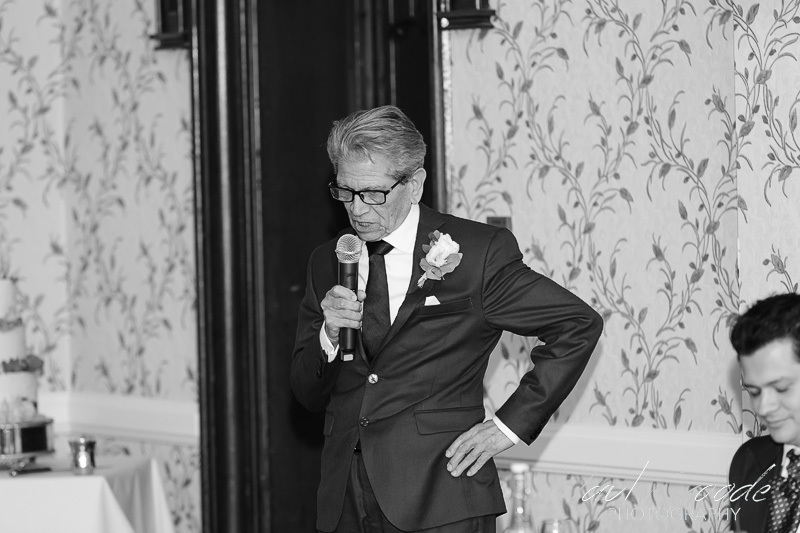 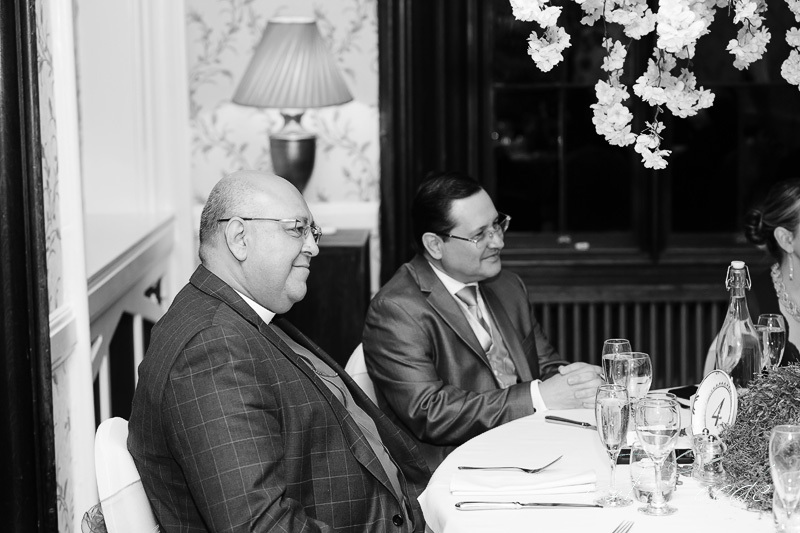 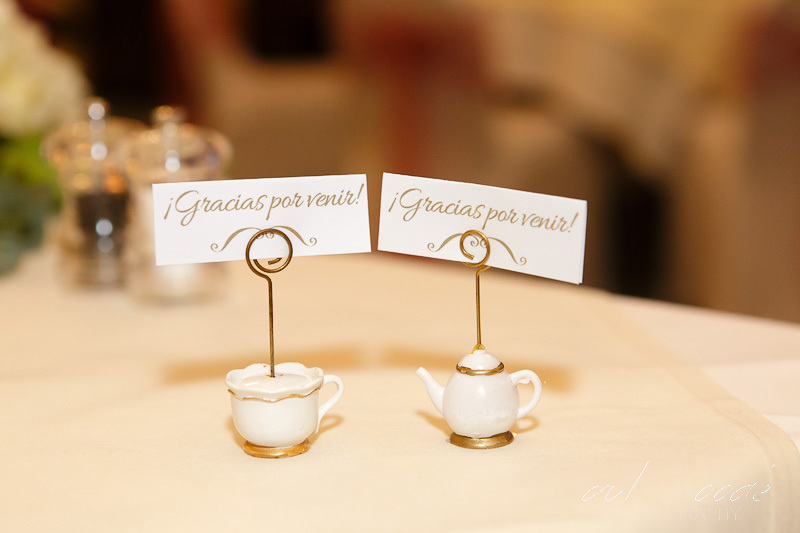 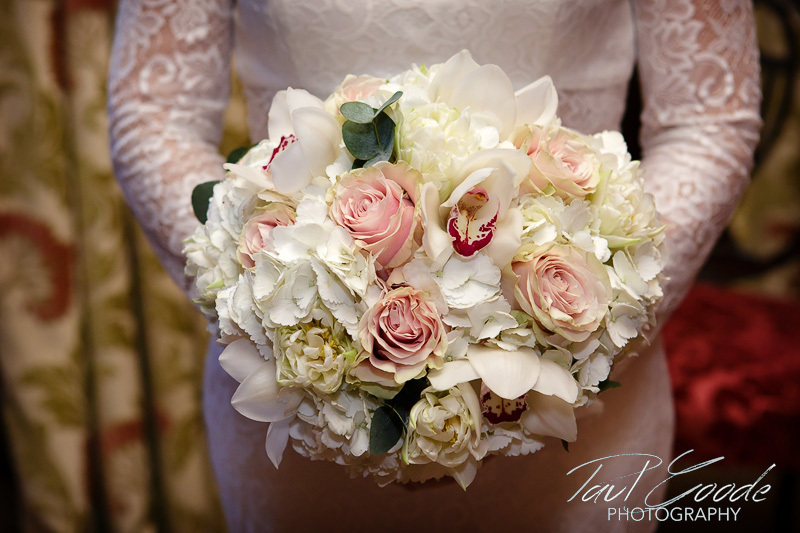 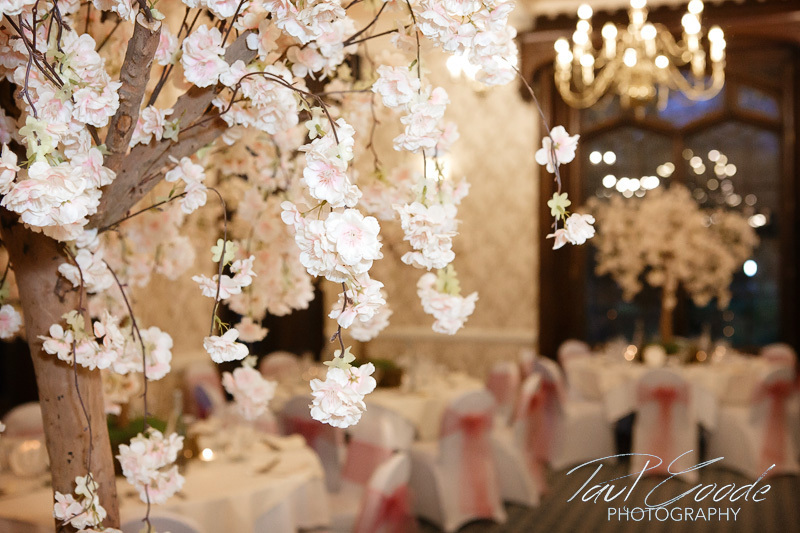 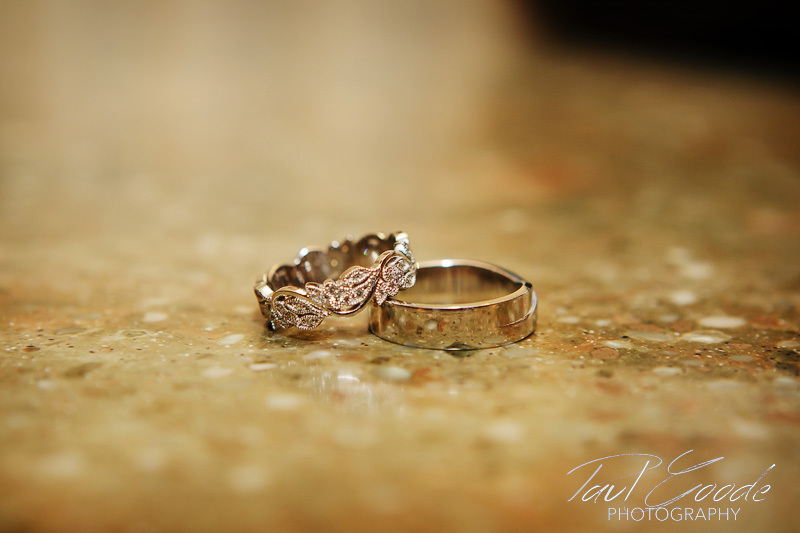 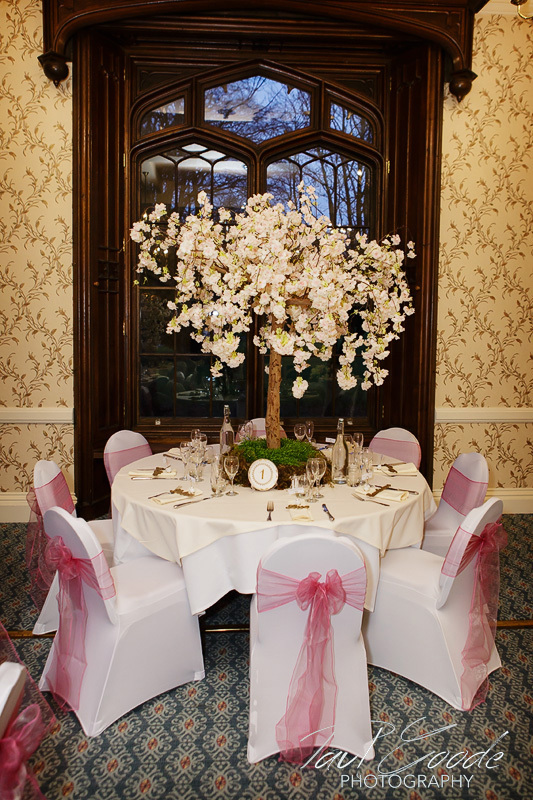 Meanwhile, Jero and the guests had gathered for the ceremony in the charming Cardeston Suite. 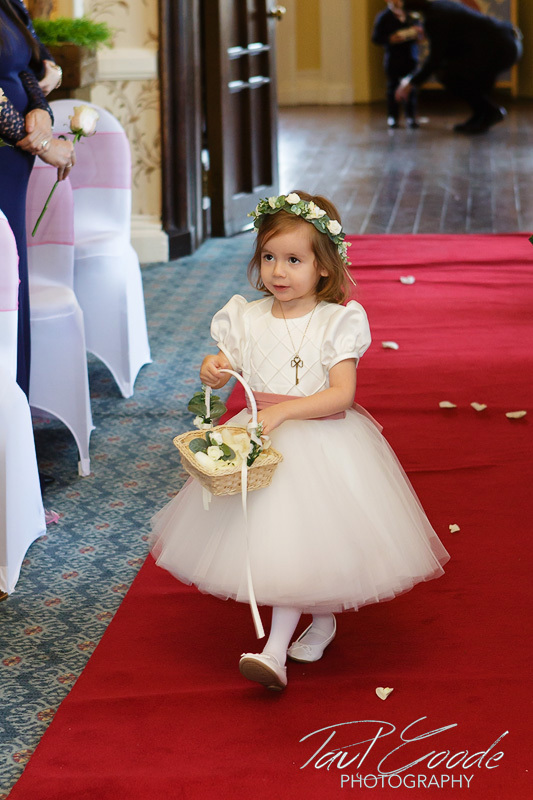 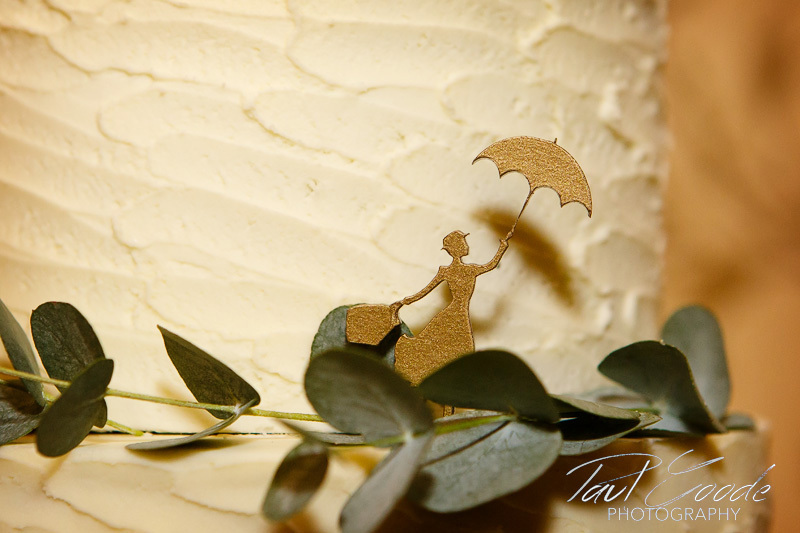 Little Berenice went ahead of her mother, scattering the rose petals as Karen made her entrance. 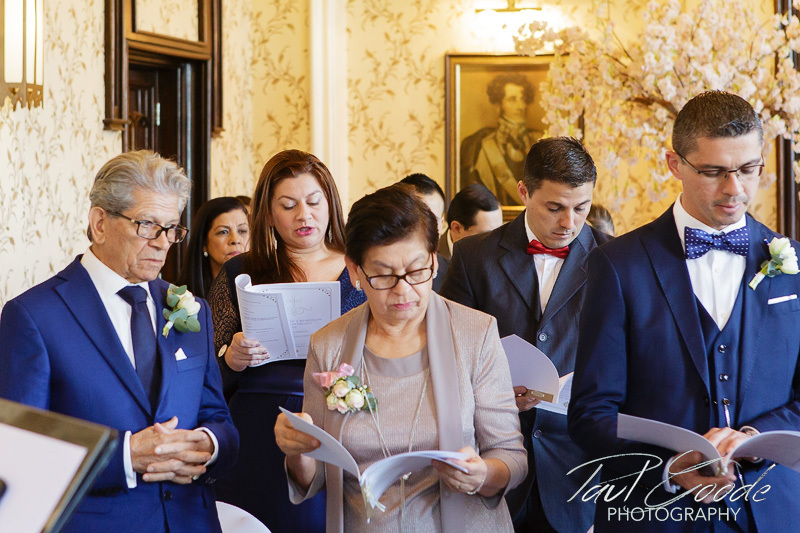 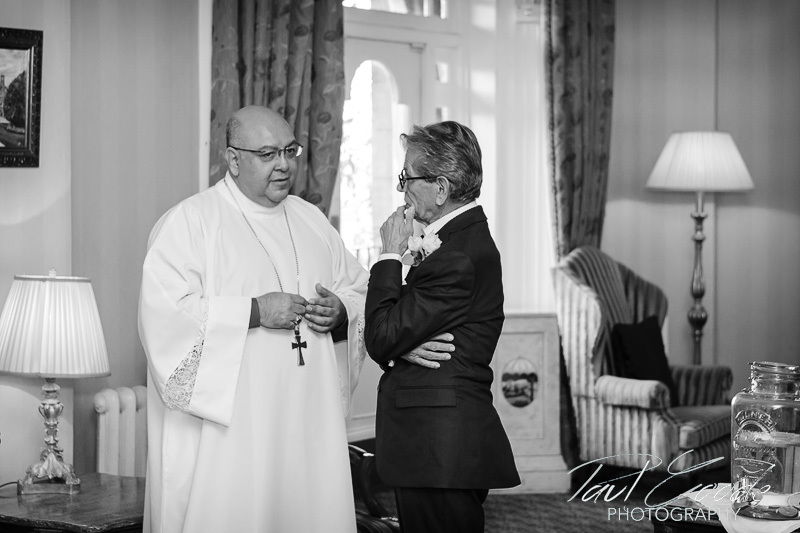 The blessing was conducted by the Bishop who was a very close and important friend of Karen and Jero & who made the ceremony very enjoyable and personal. 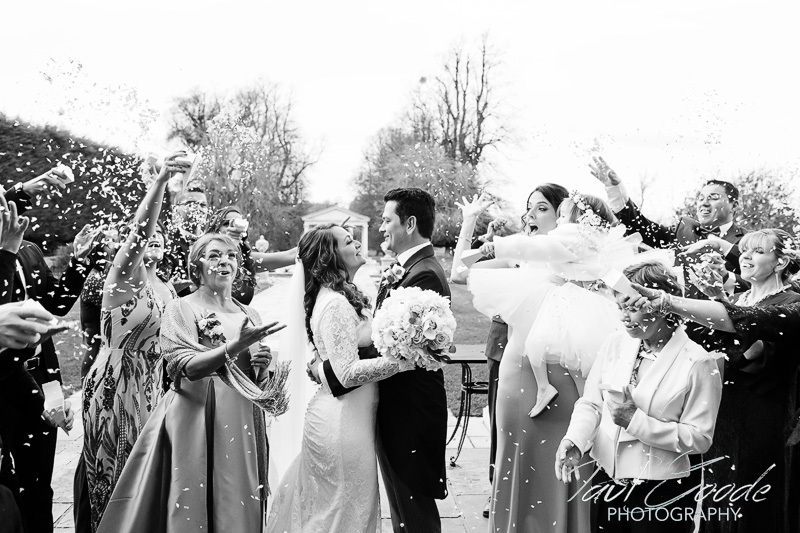 After the ceremony, regardless of the cold, everyone stepped outside for confetti throwing. 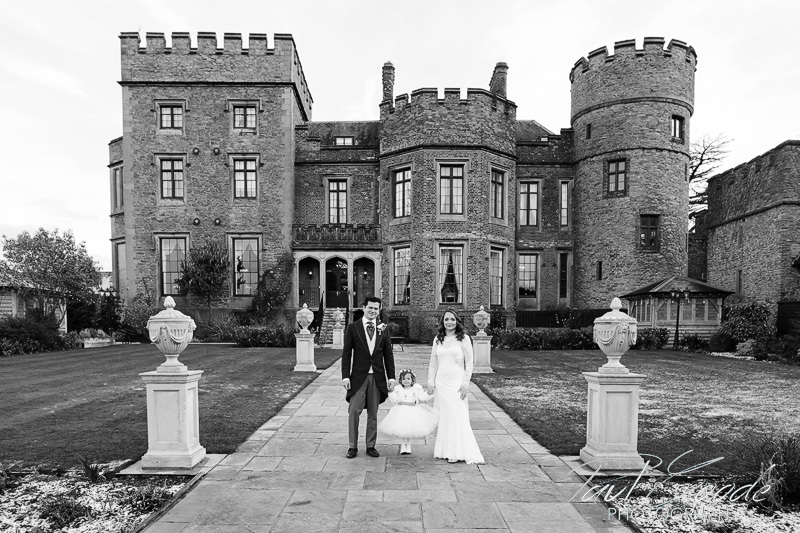 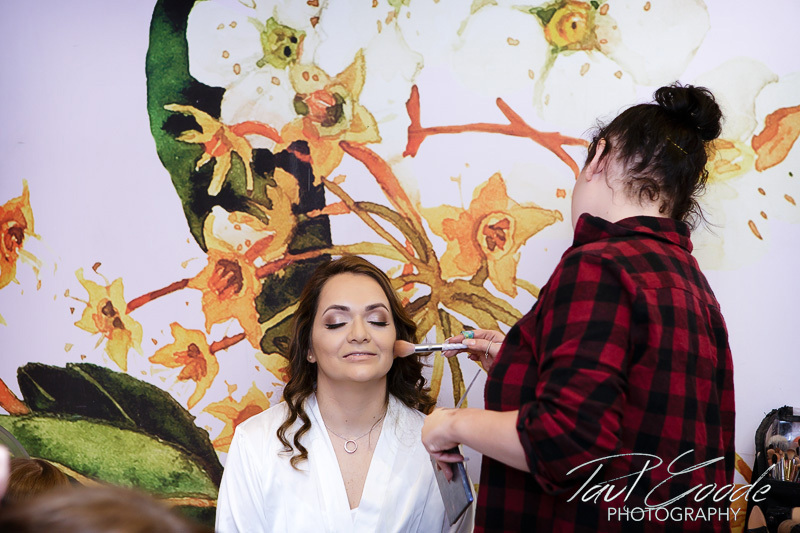 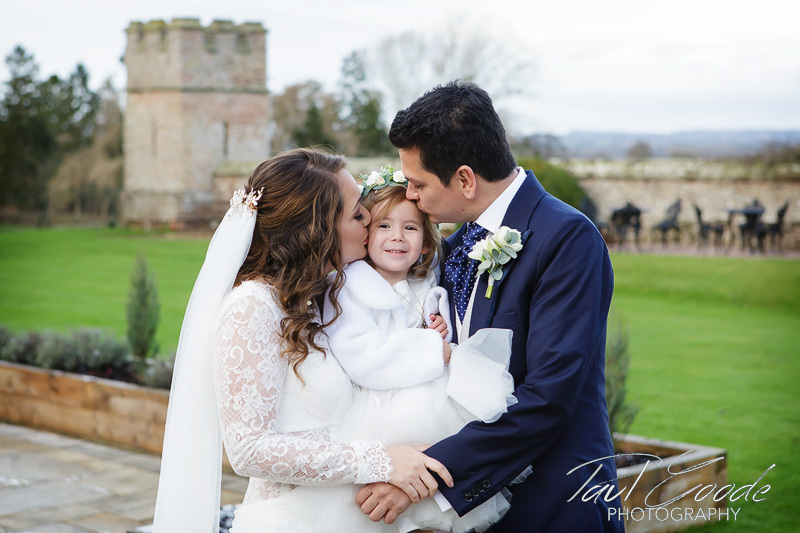 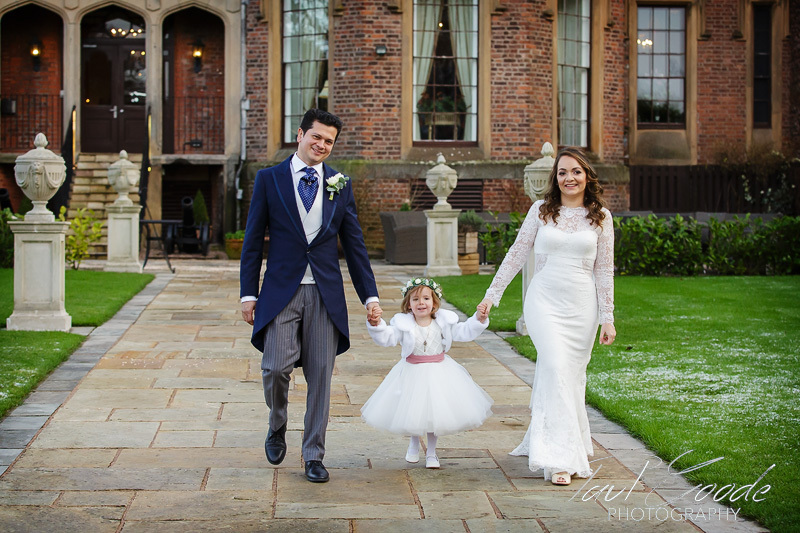 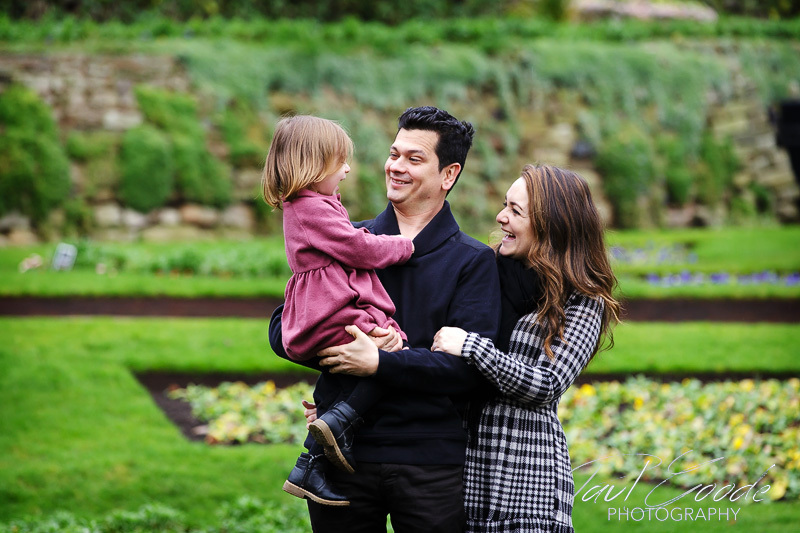 Karen and Jero then had time to capture family photos with Berenice as well as their portrait photos with the stunning setting of the castle and its gardens. 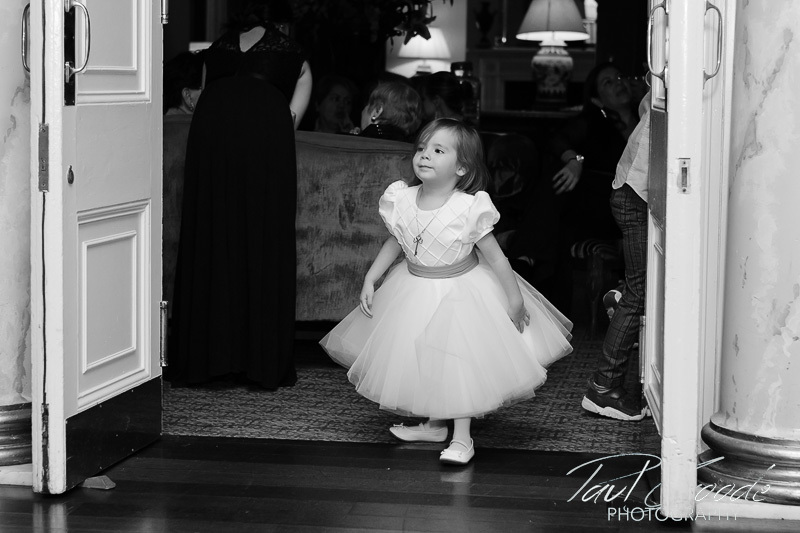 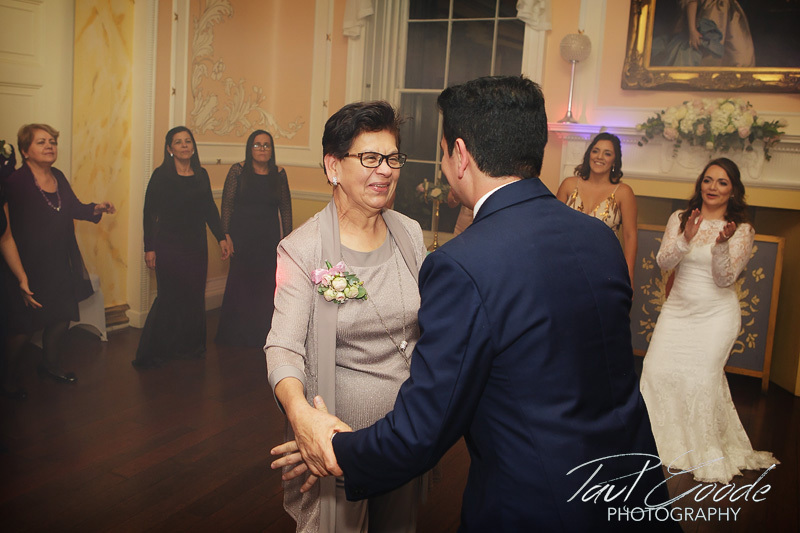 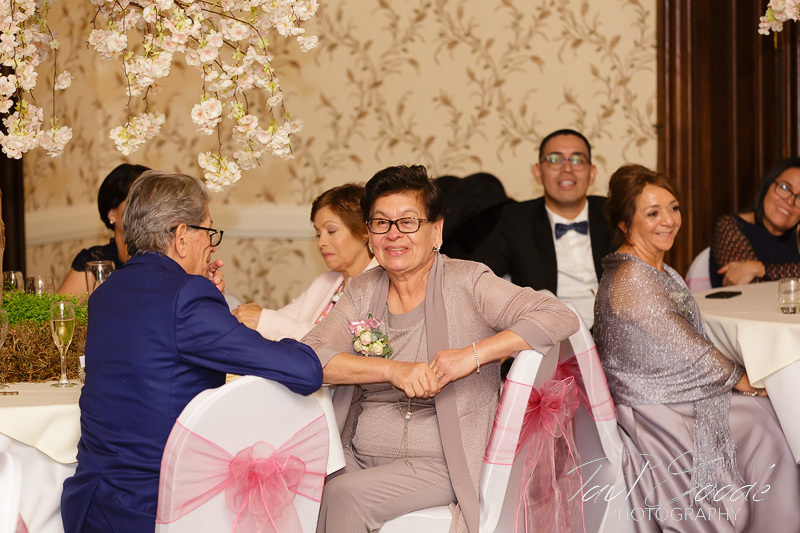 It certainly was chilly so we made our way back indoors where the ballroom provided an ideal location for family photos. 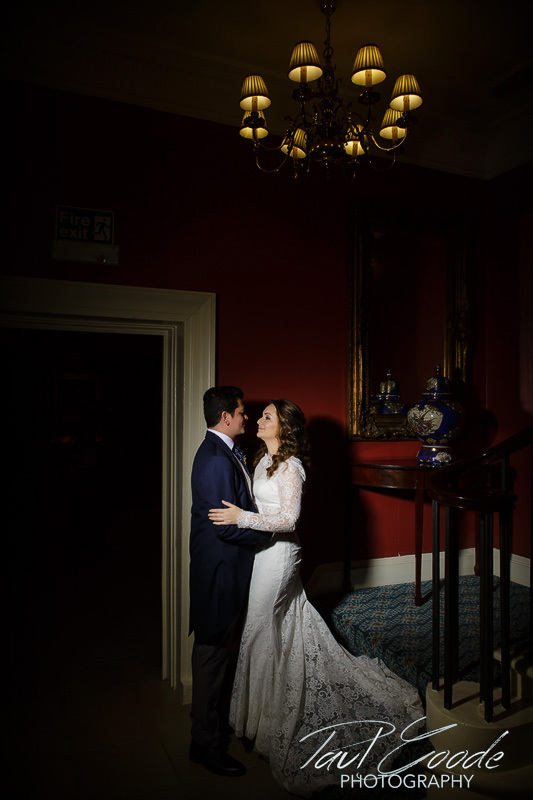 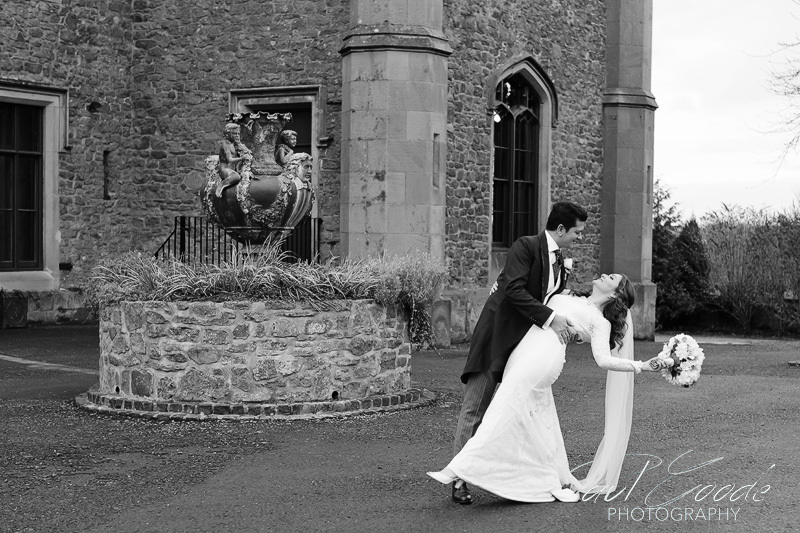 The architecture and exquisite interiors of the castle also provided great backdrops for some further portrait photos. 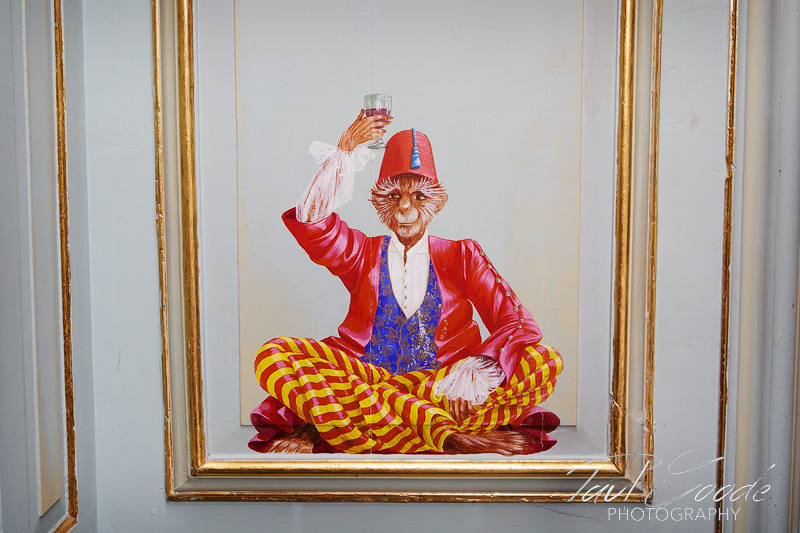 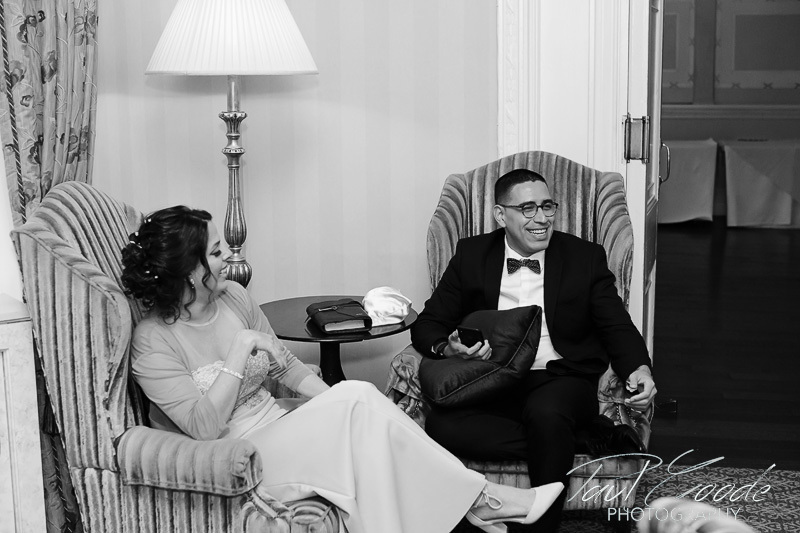 Later, as evening celebrations got underway, everyone relaxed in the lounge before heading into The Ballroom for Karen and Jero’s first dance. 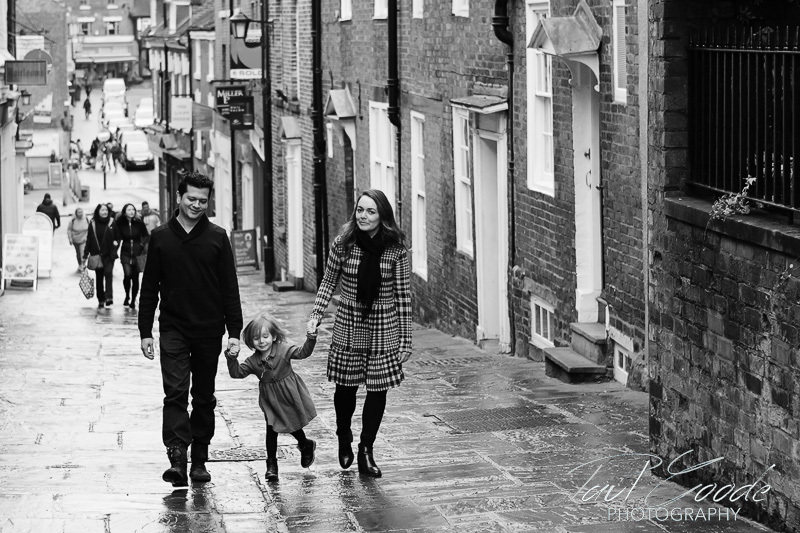 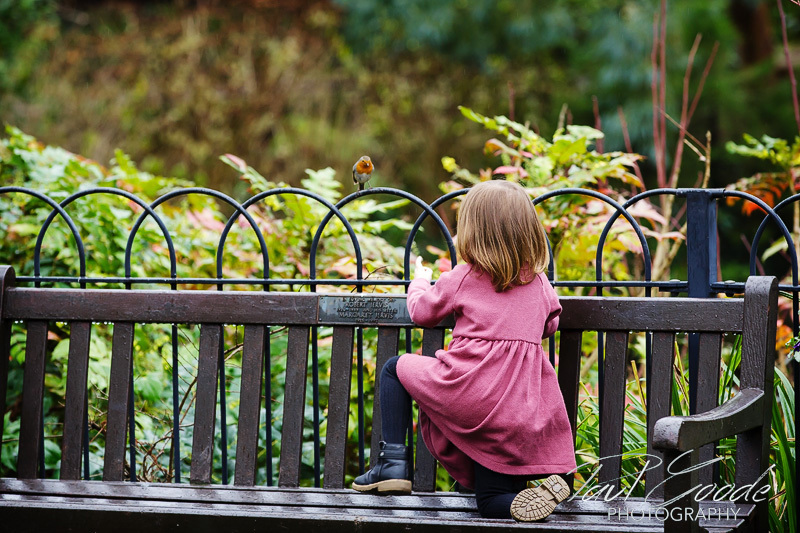 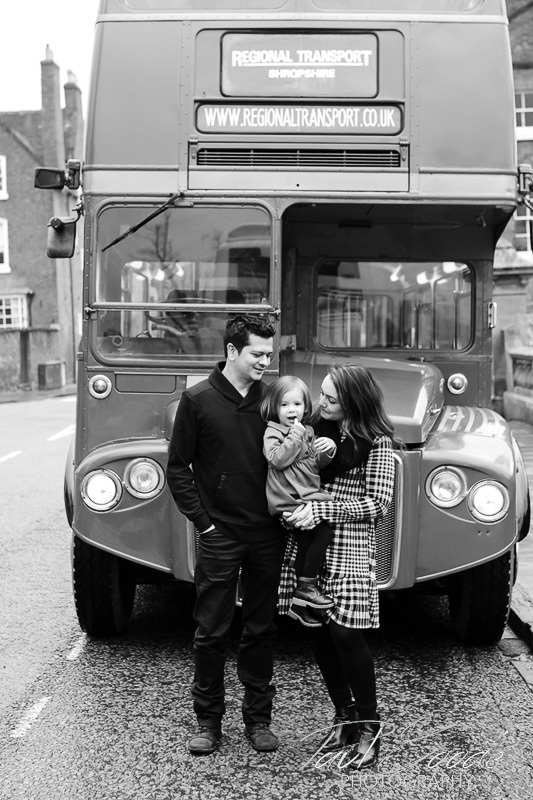 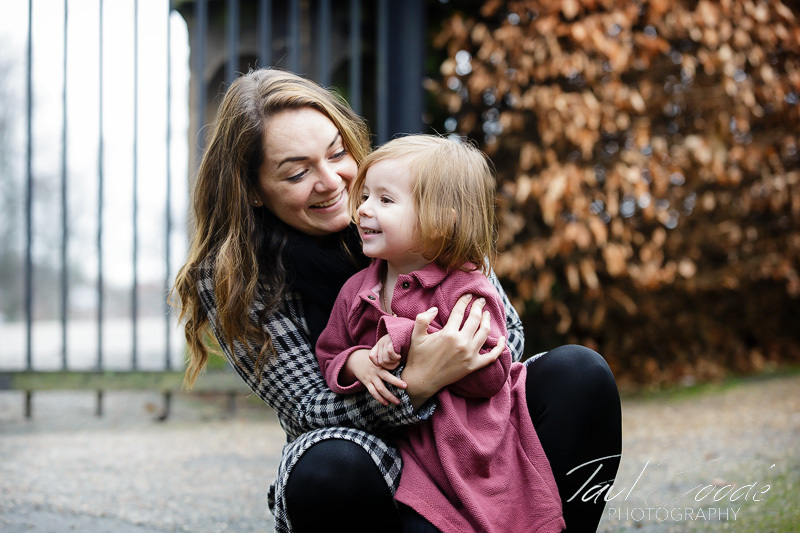 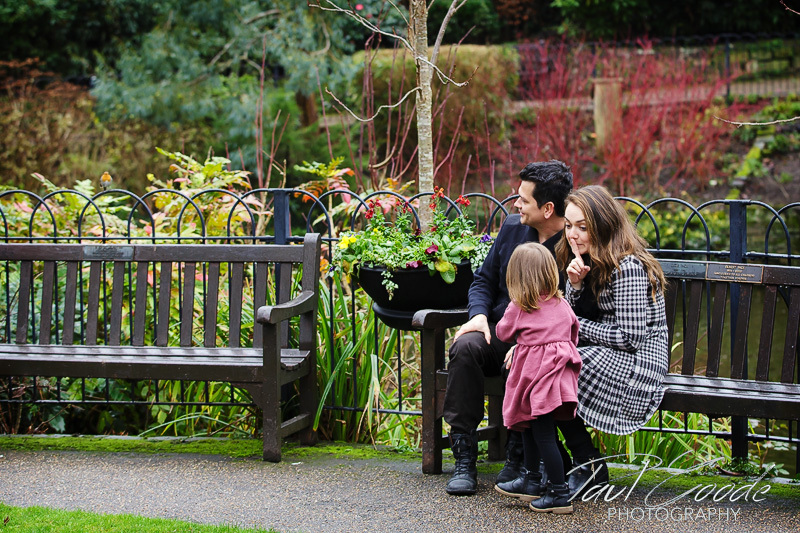 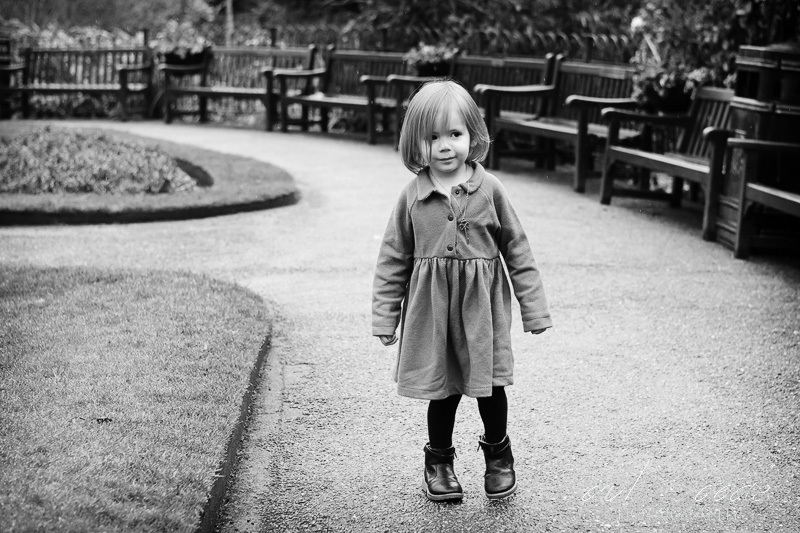 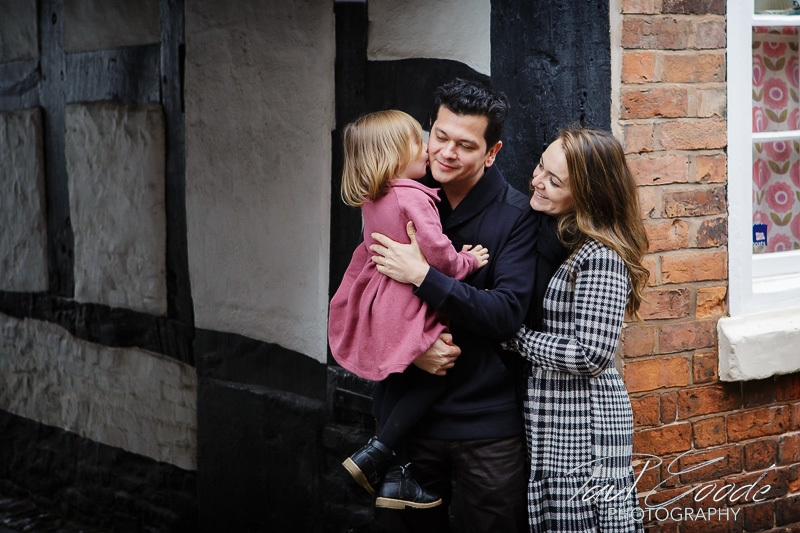 As Shrewsbury is very special to Karen and Jero, the next day I met up with them and Berenice for a family photoshoot. 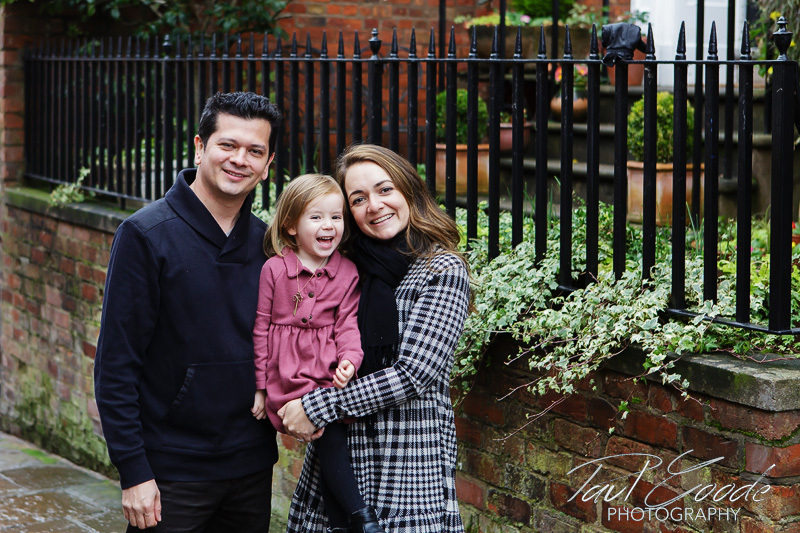 The family were keen to capture photos of themselves in the surroundings of the beautiful town and gardens before leaving for Costa Rico!